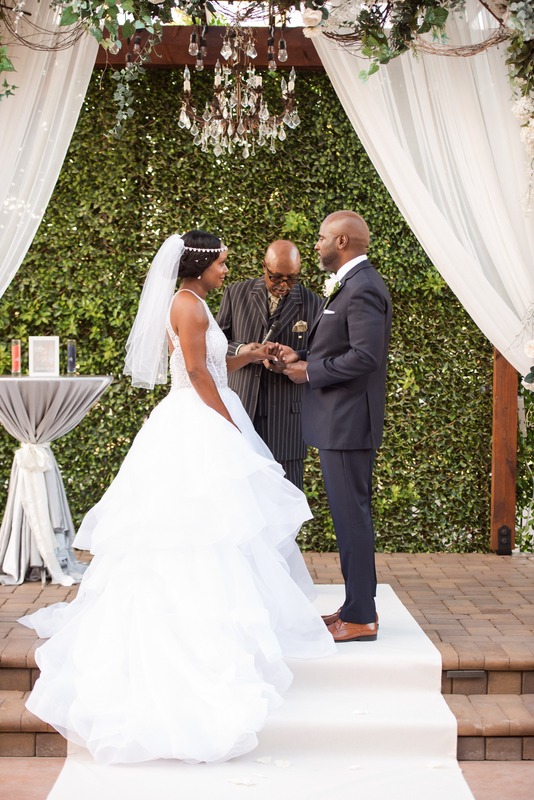 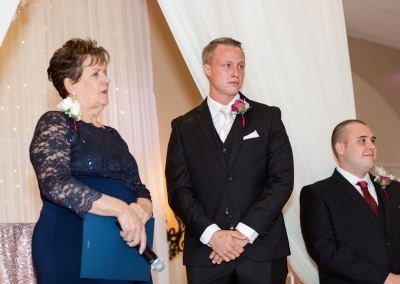 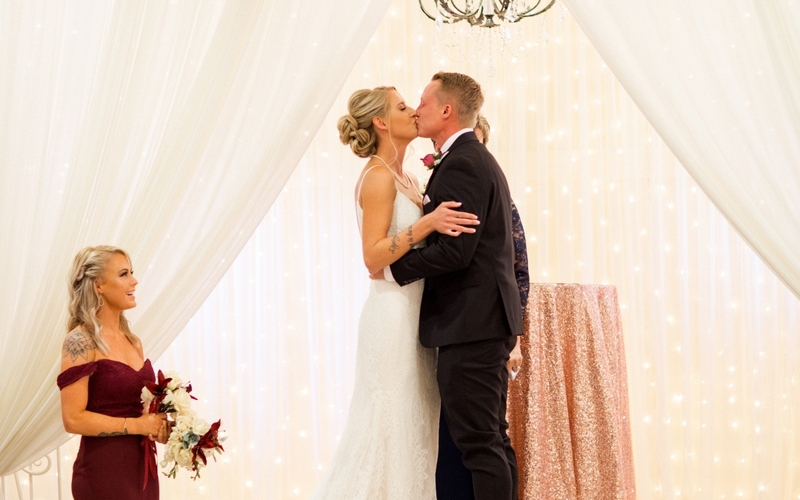 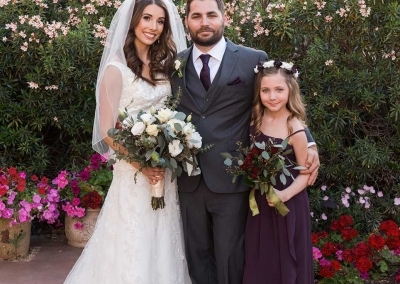 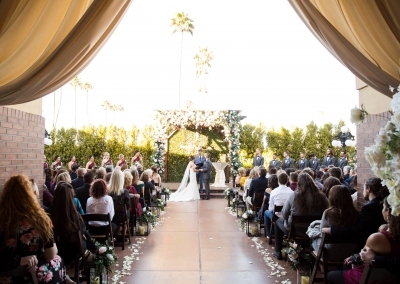 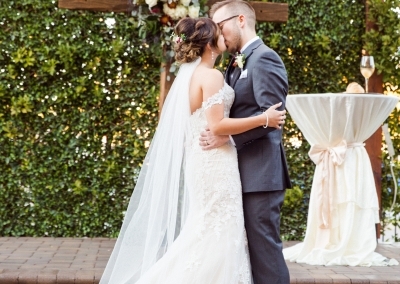 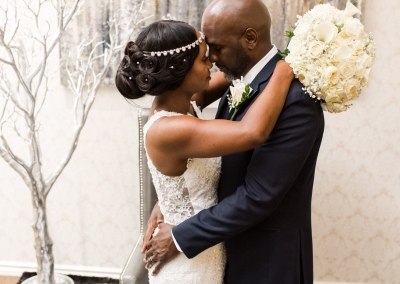 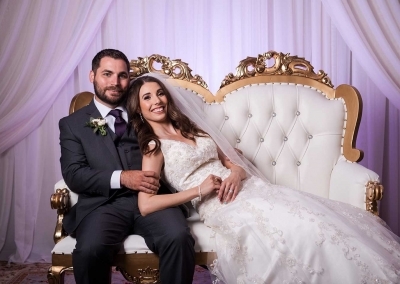 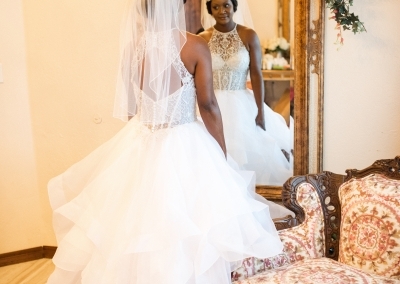 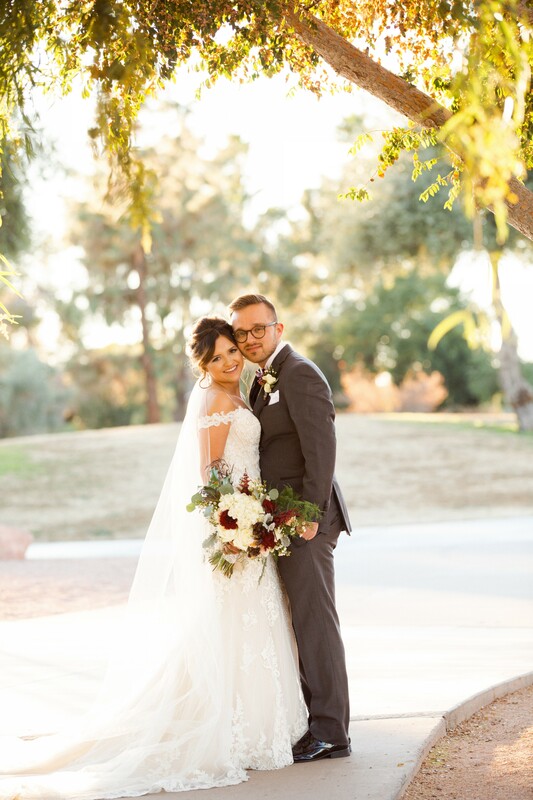 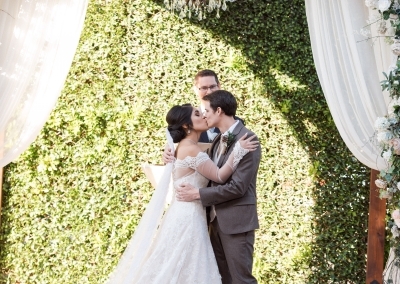 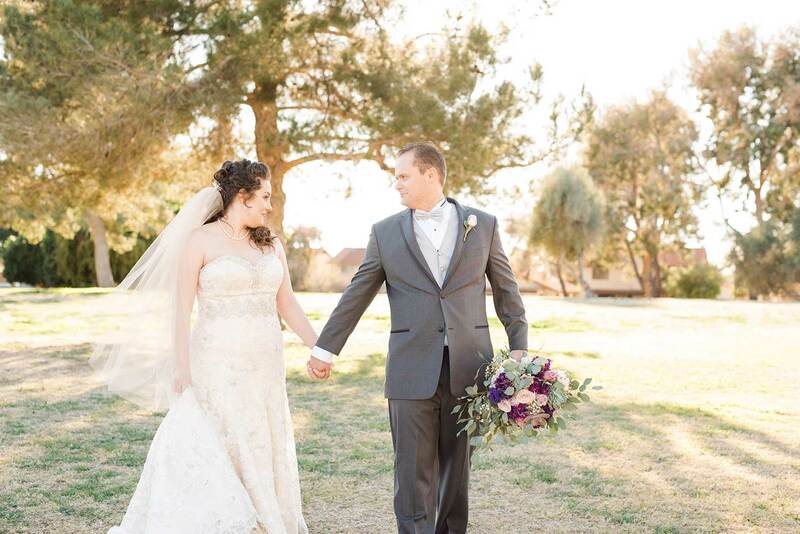 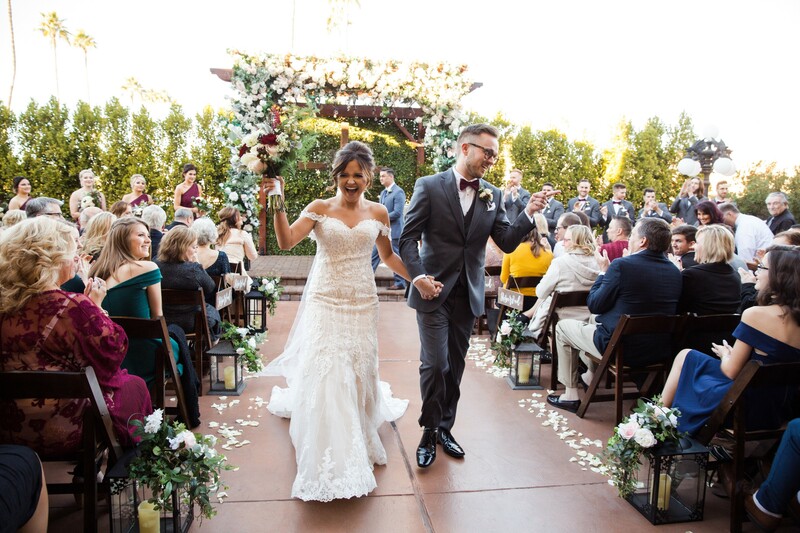 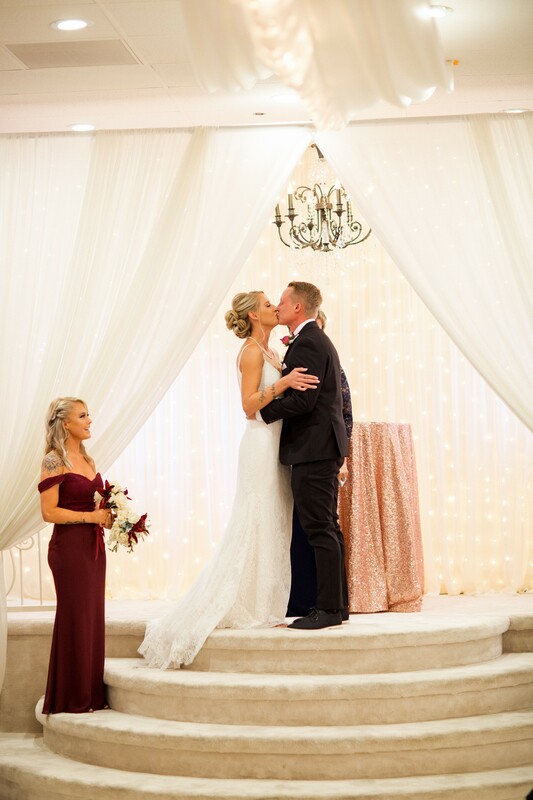 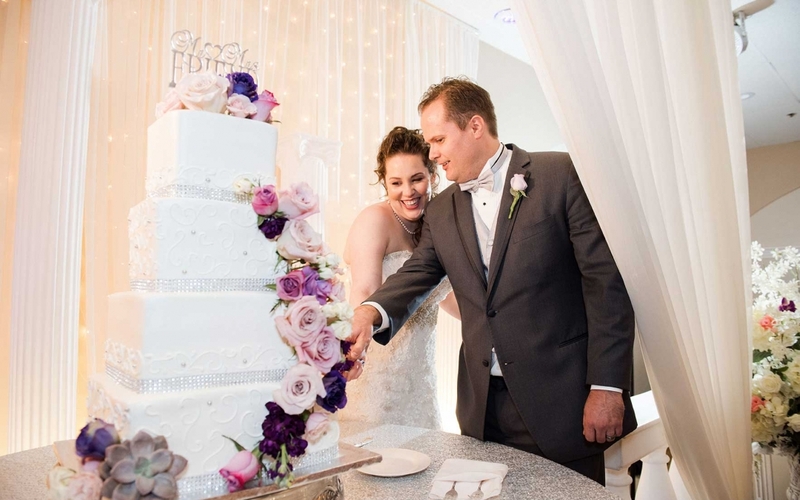 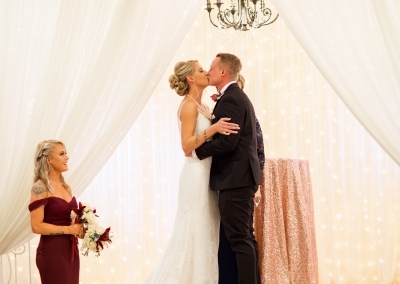 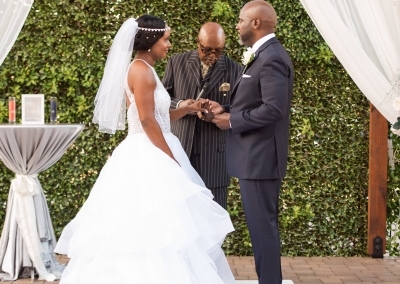 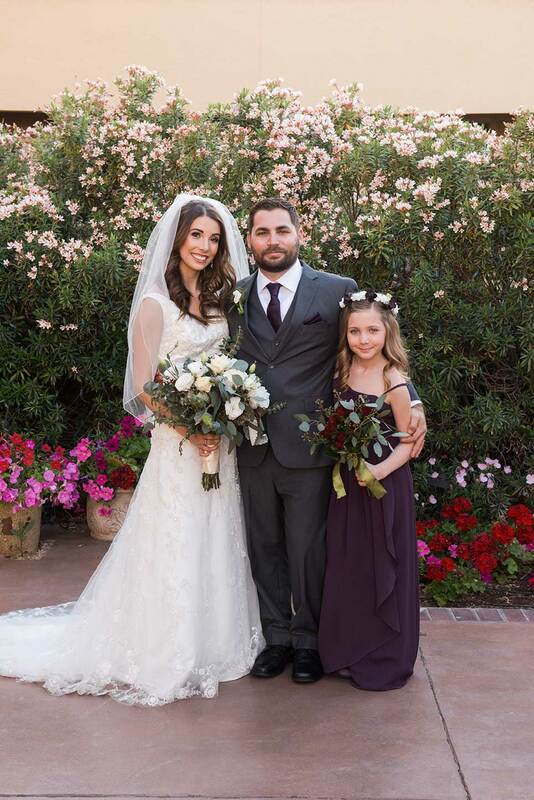 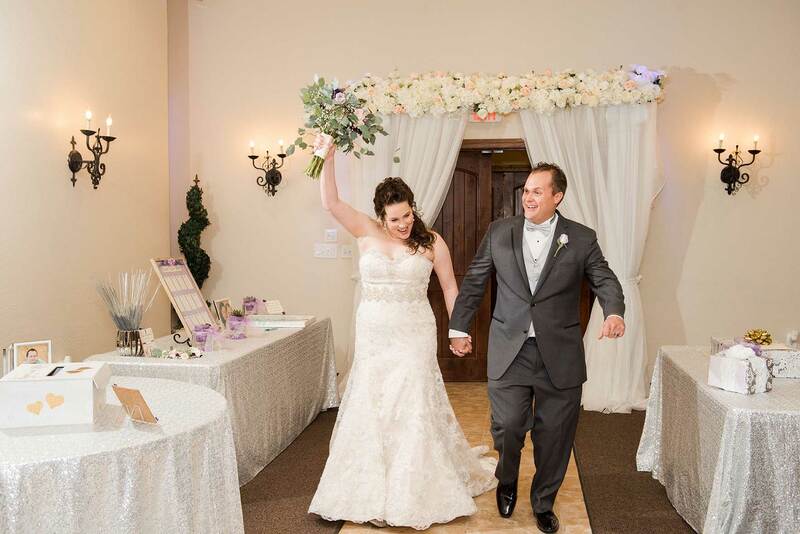 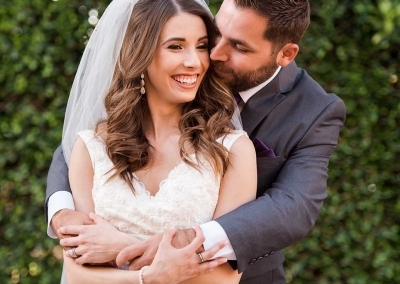 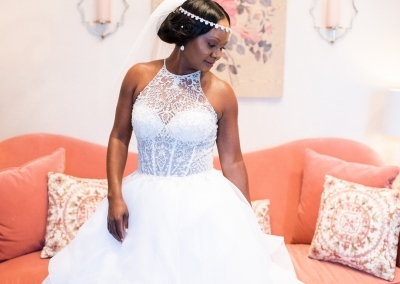 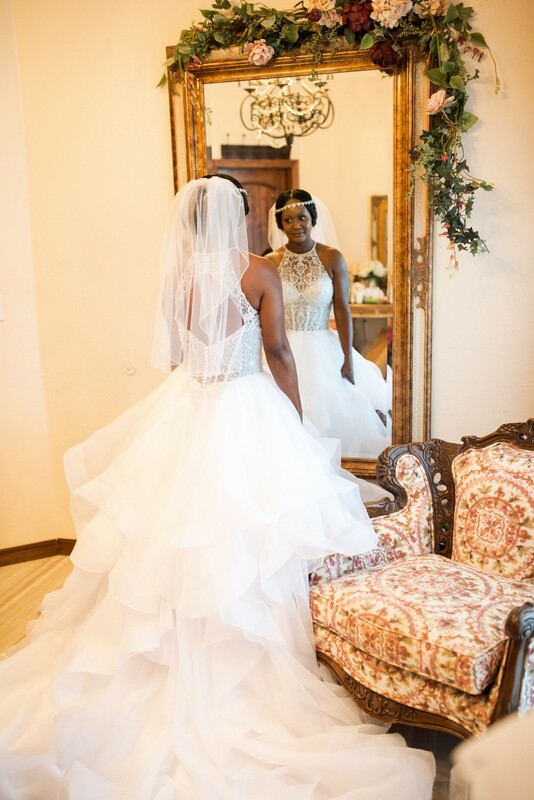 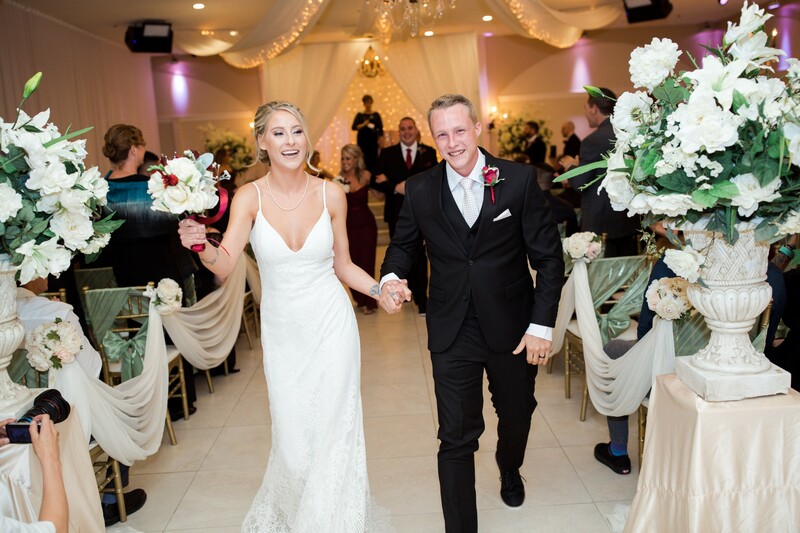 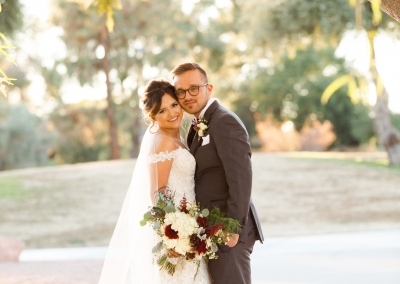 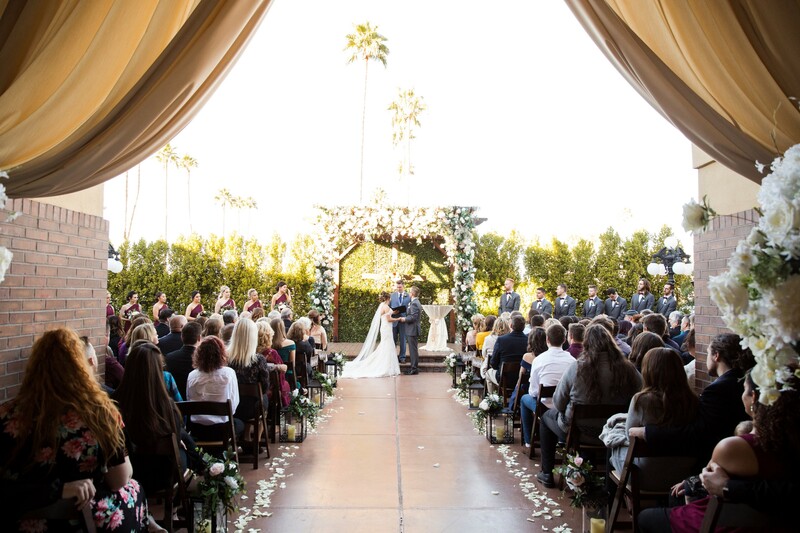 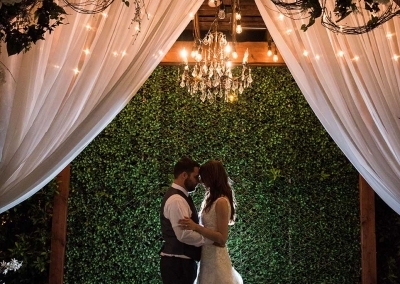 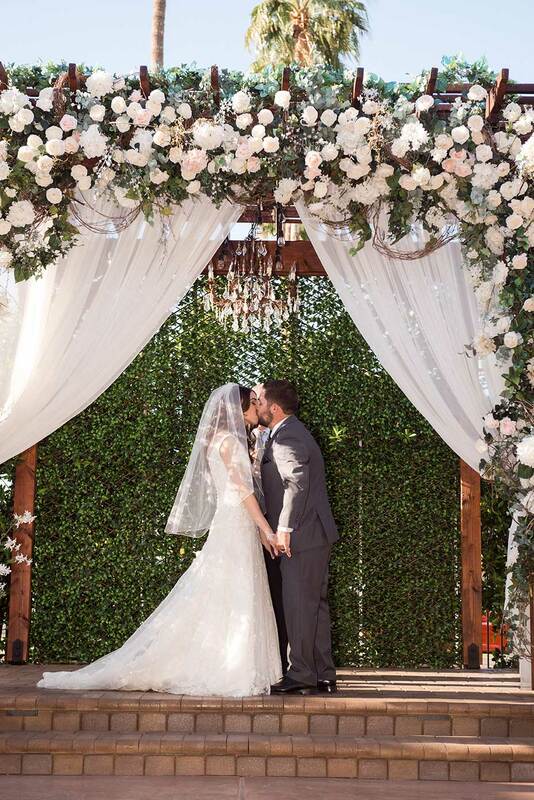 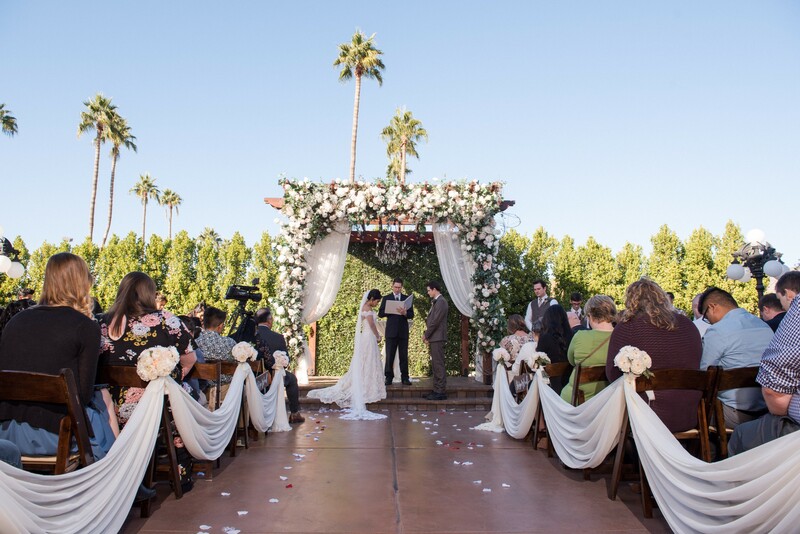 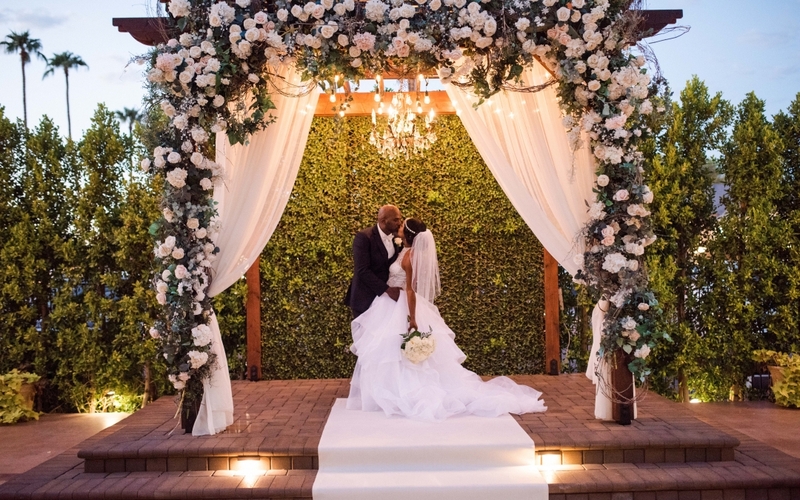 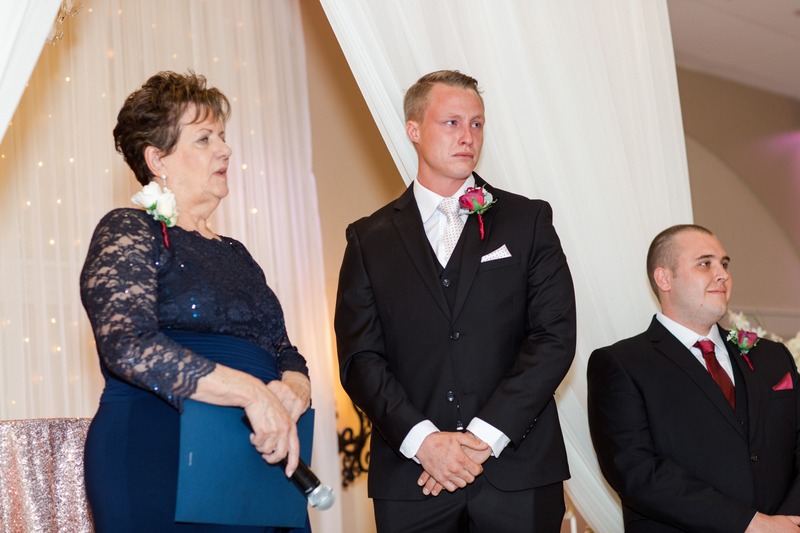 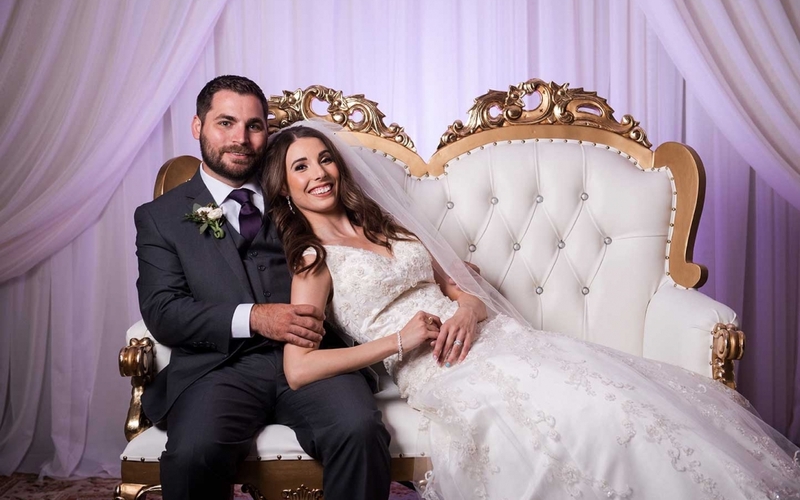 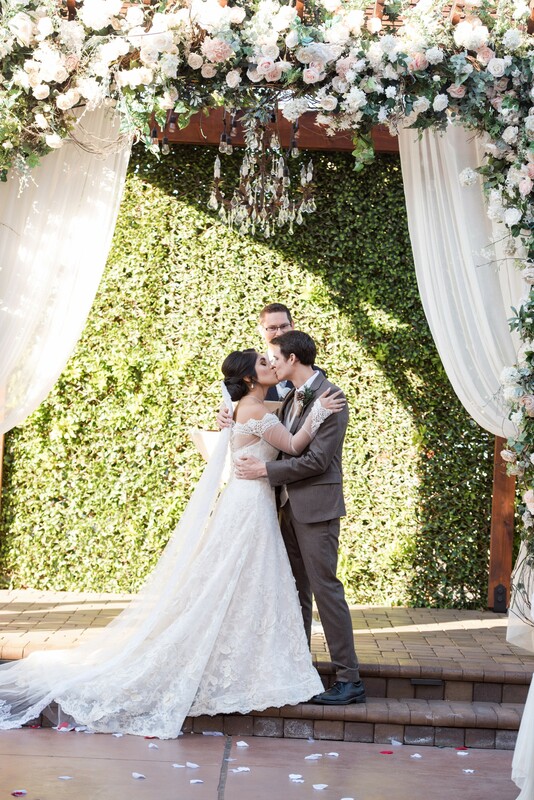 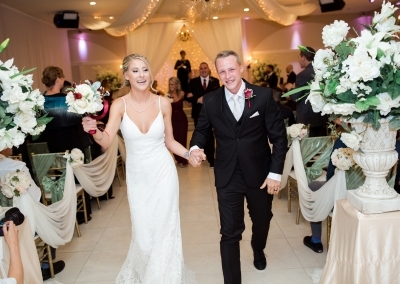 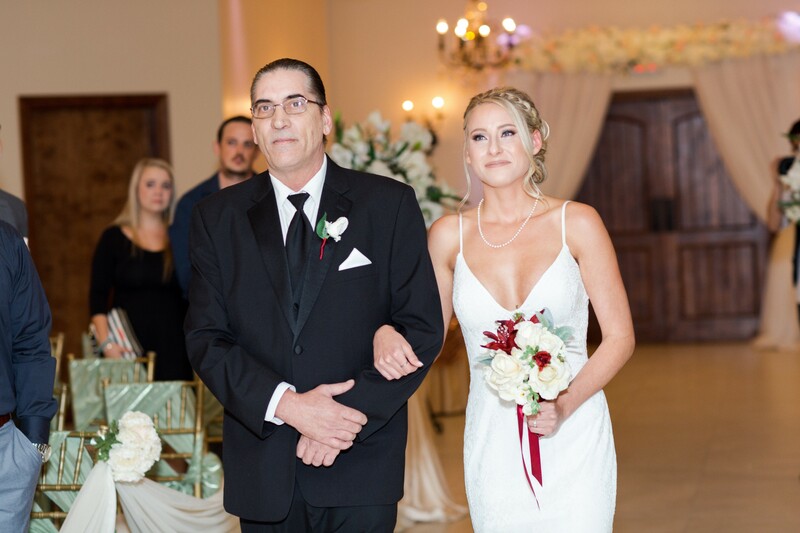 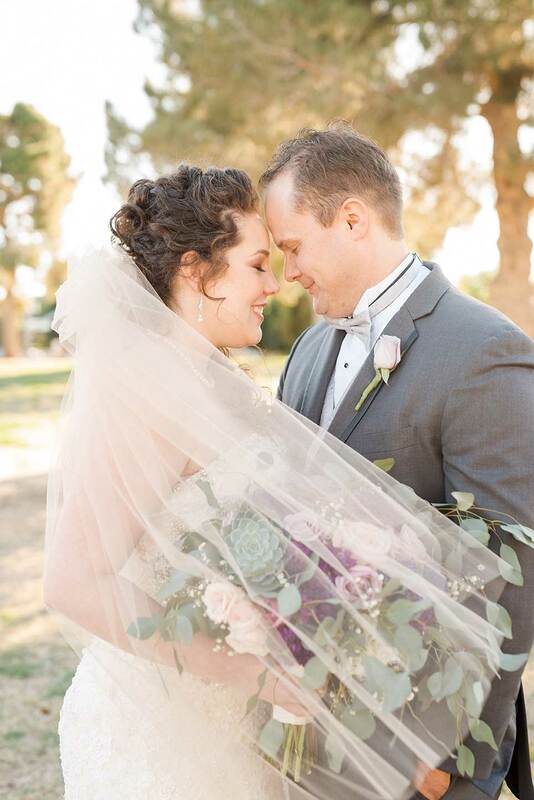 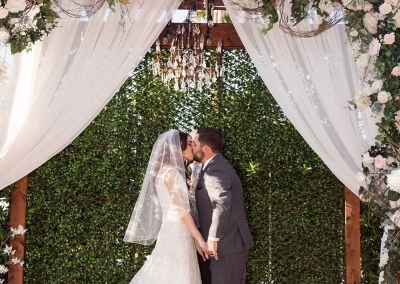 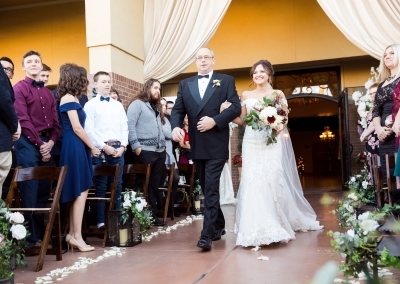 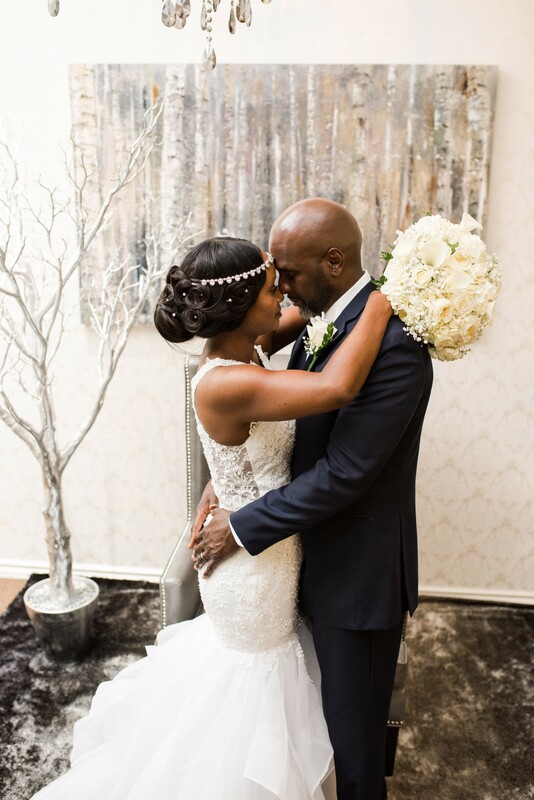 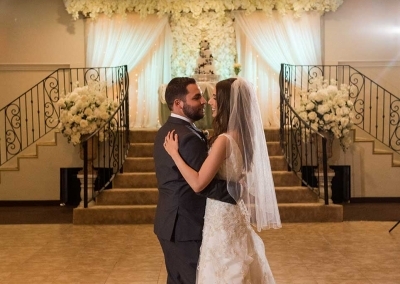 Kira and Justin celebrated their wedding day with us in January 2019 with a courtyard ceremony and indoor reception. 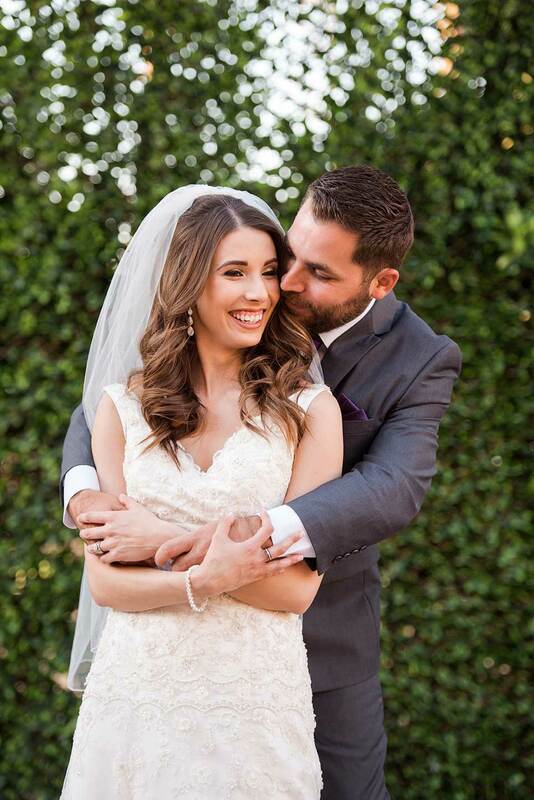 They were the sweetest couple who did a prayer together before the ceremony without Justin seeing Kira. 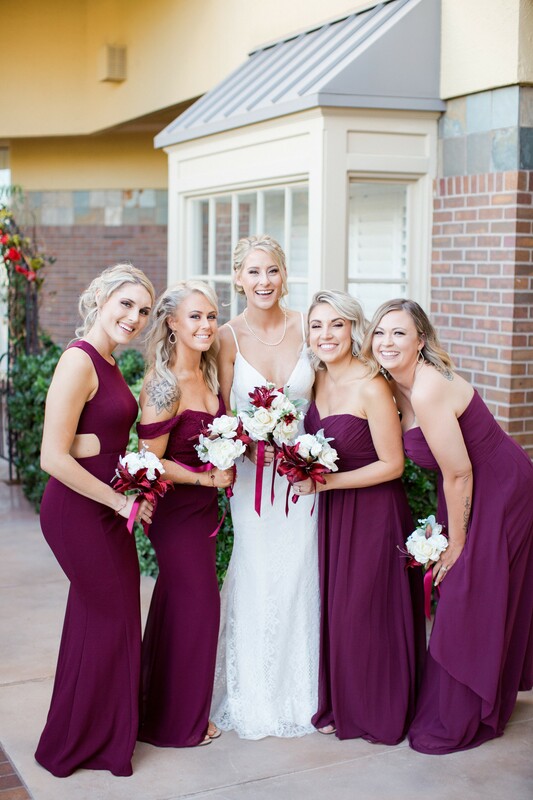 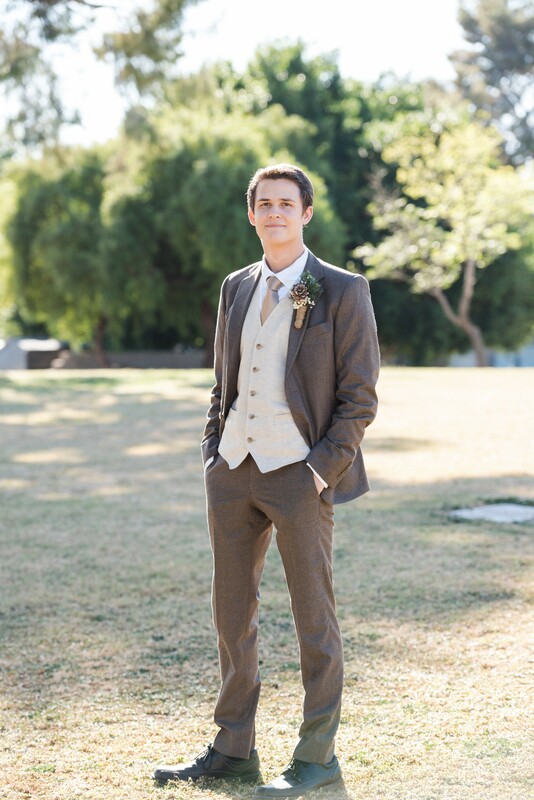 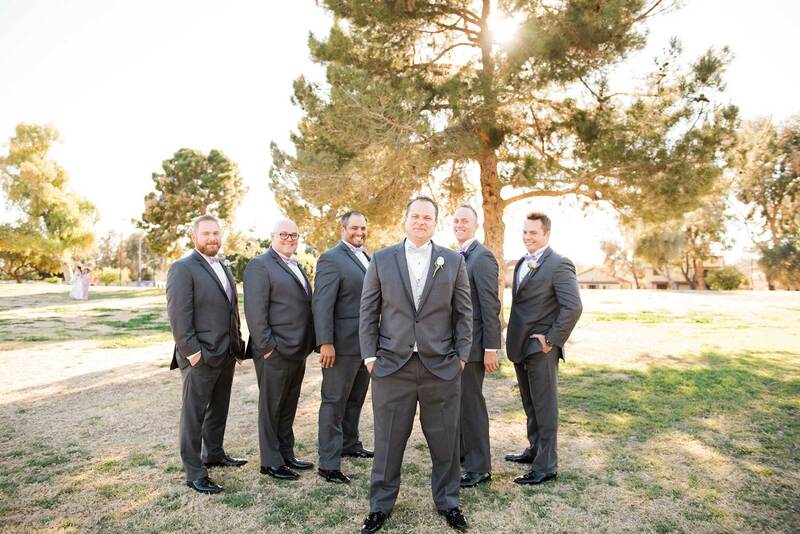 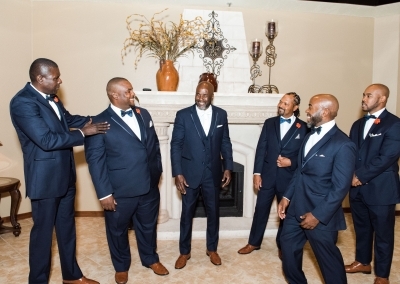 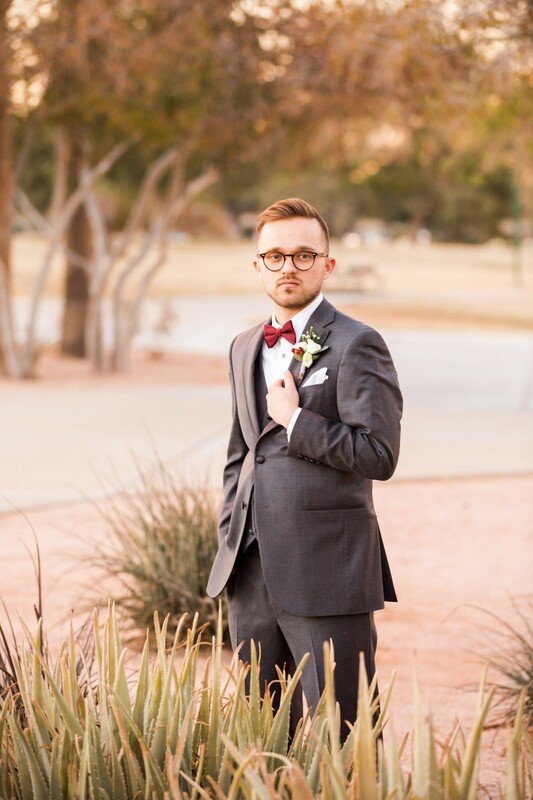 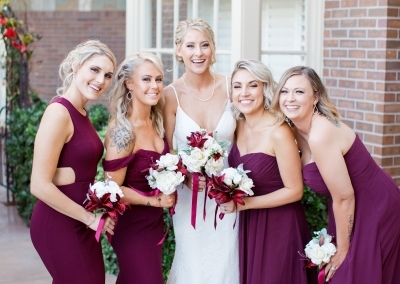 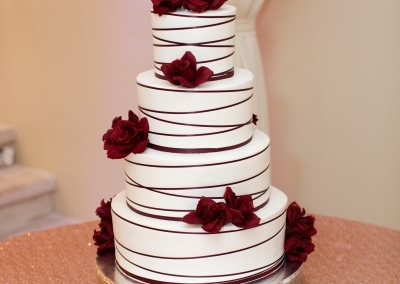 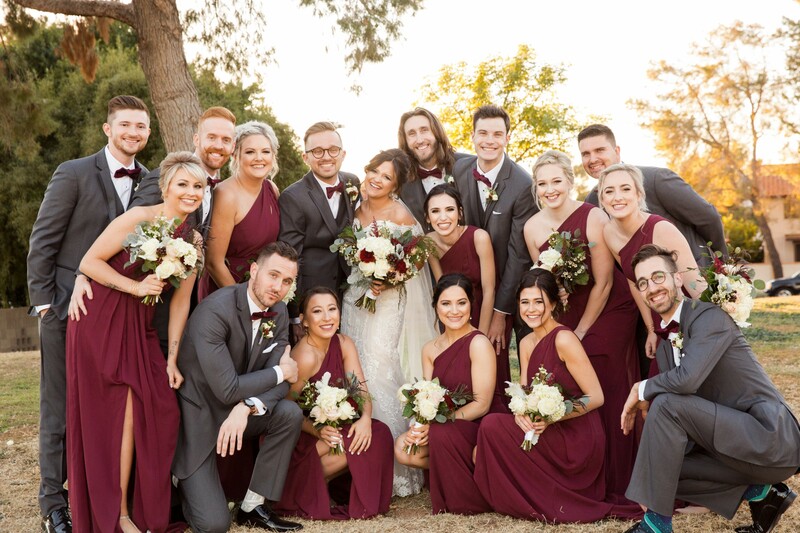 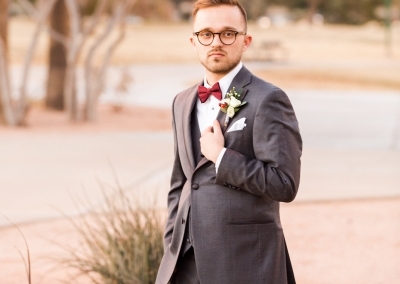 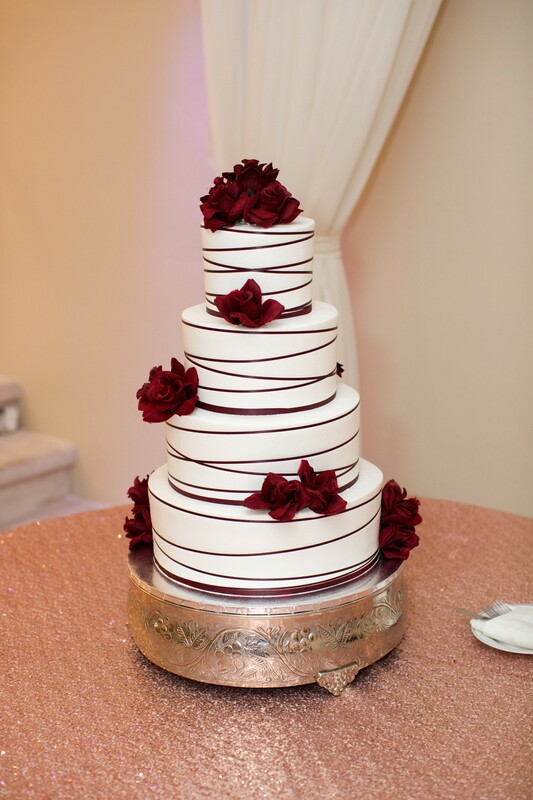 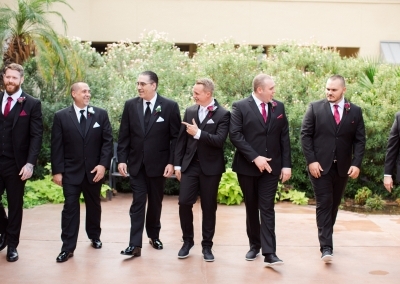 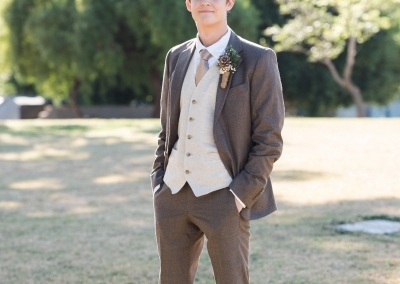 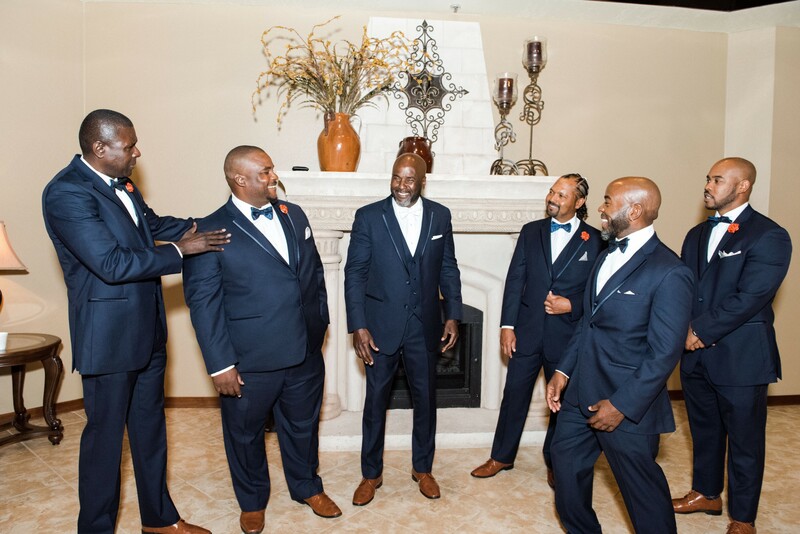 The burgundy and dark grey colors colors chosen for the bridesmaids and groomsmen were perfect for a January wedding. 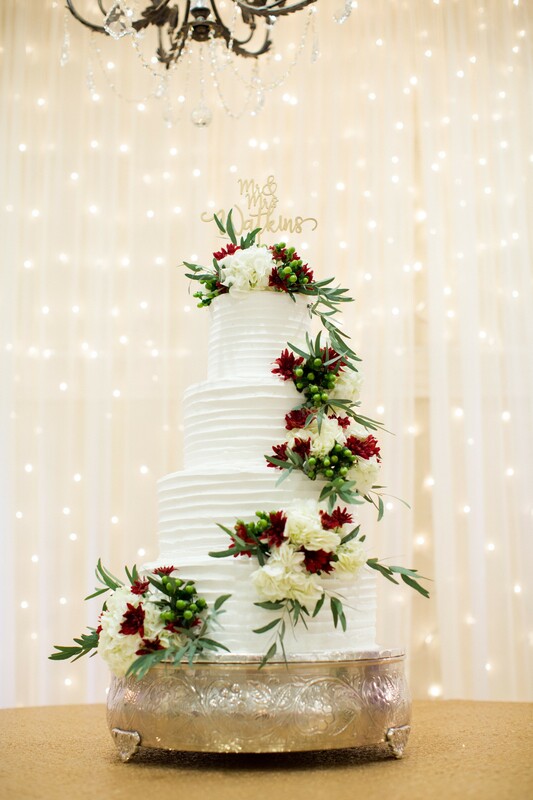 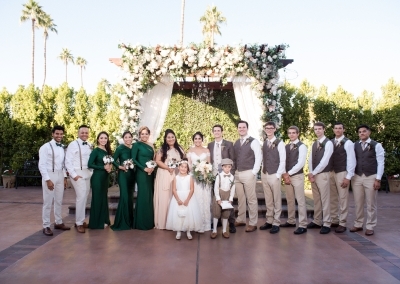 The reception decor featured classic white flowers with gold and white table setting with just the perfect touch of deep red and green accents. 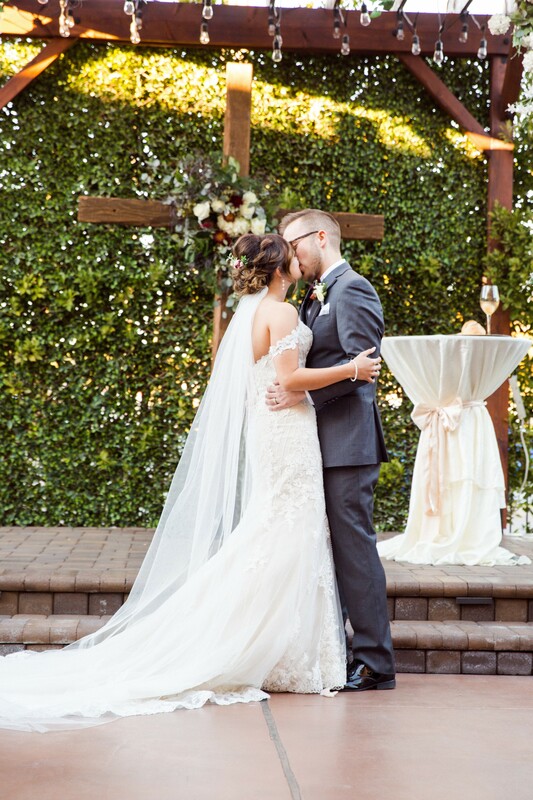 The newlyweds brought in a beautiful cross for their ceremony and headed to the park after ceremony to do some photos outside. 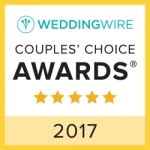 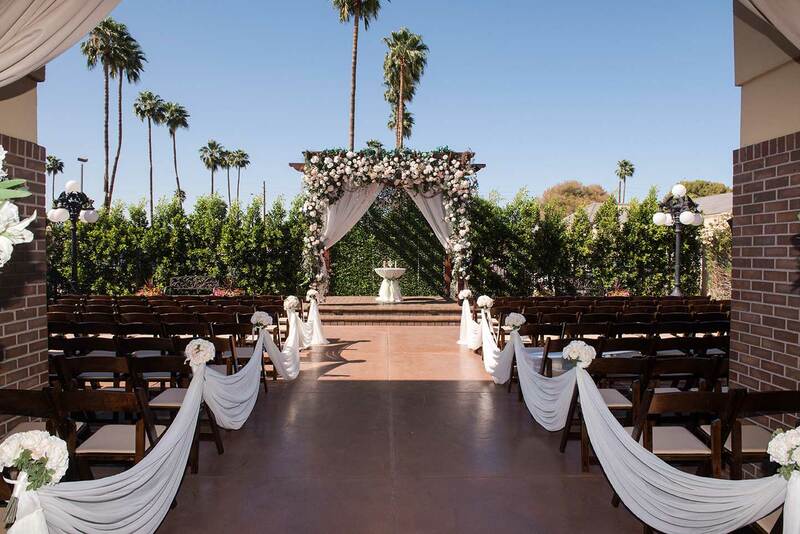 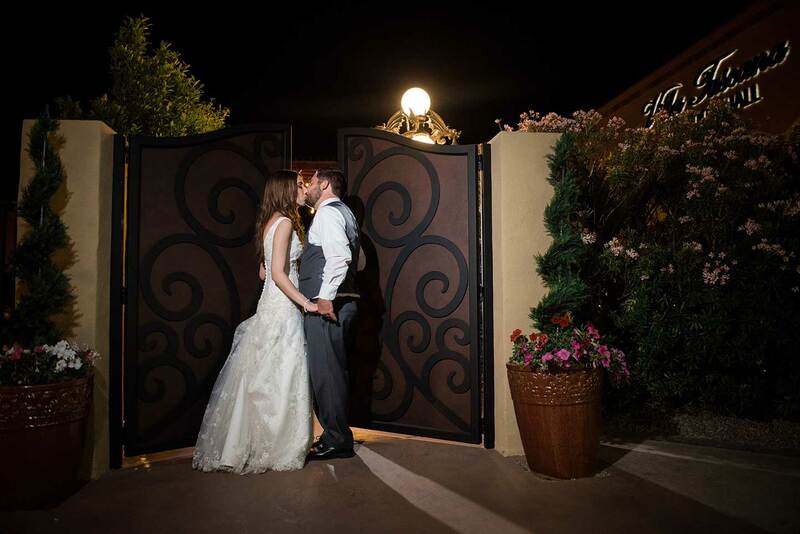 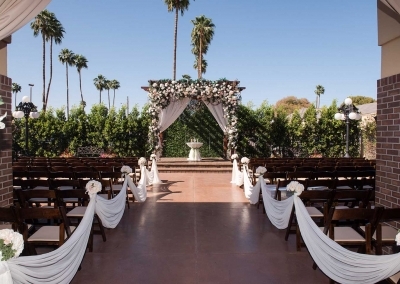 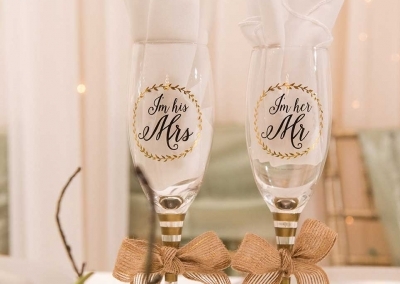 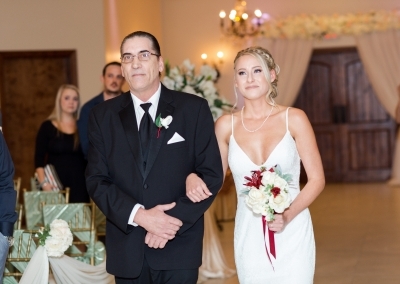 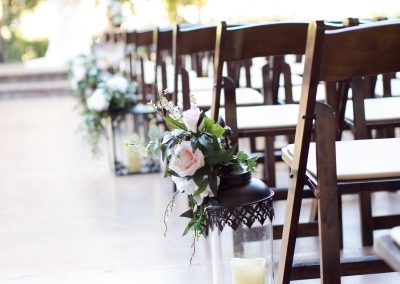 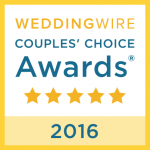 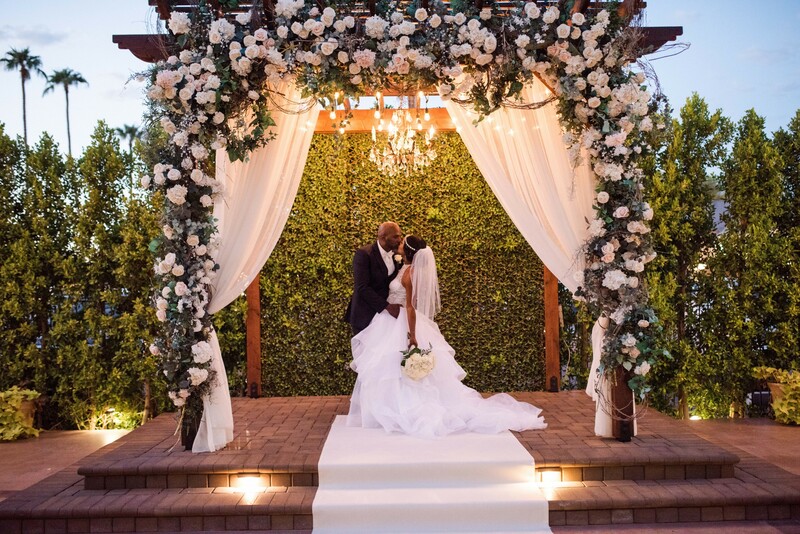 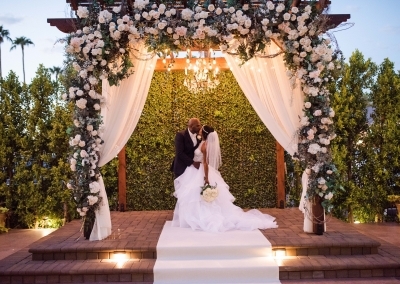 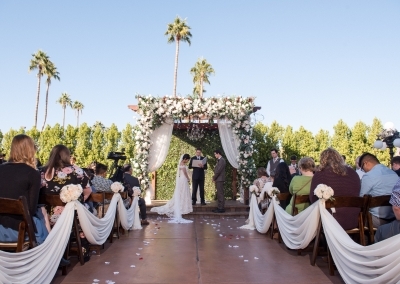 Plan your dream wedding at Villa Tuscana! 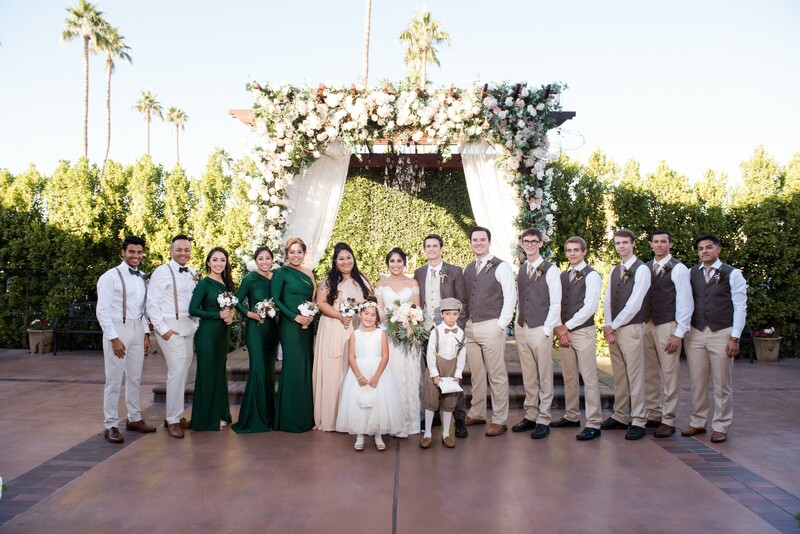 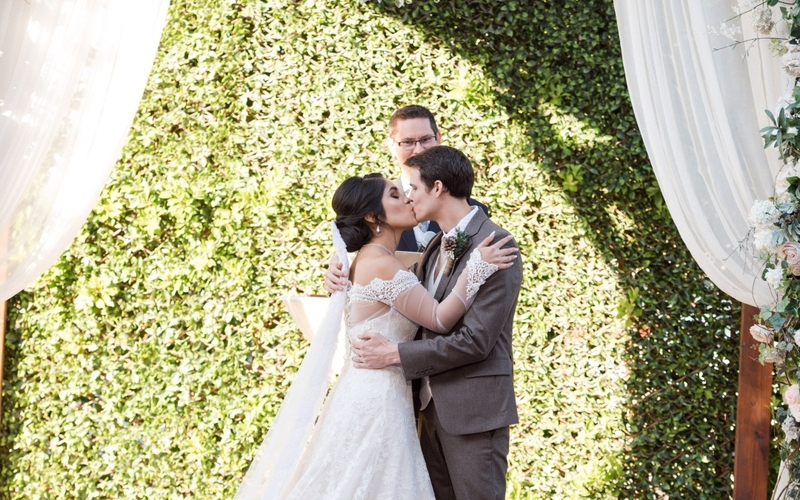 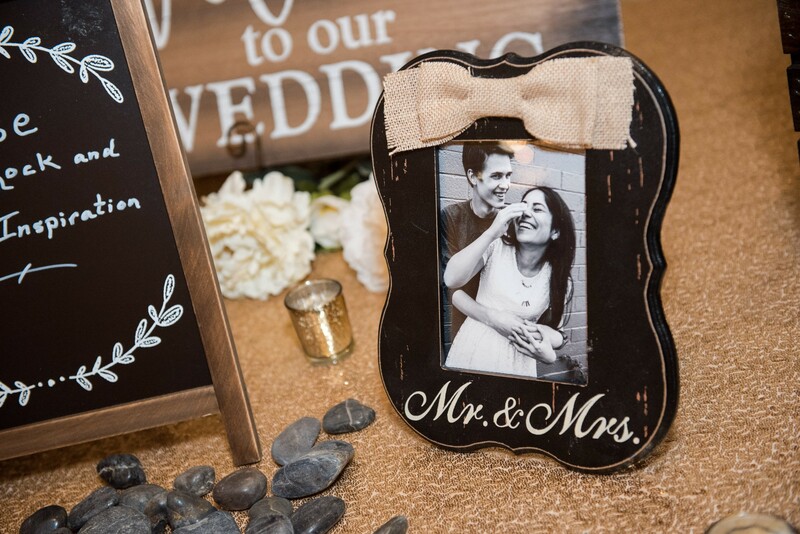 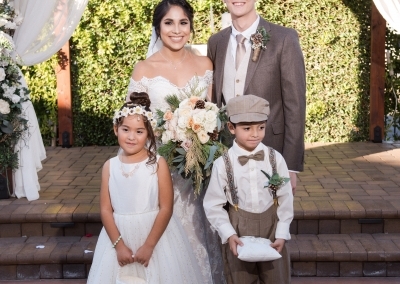 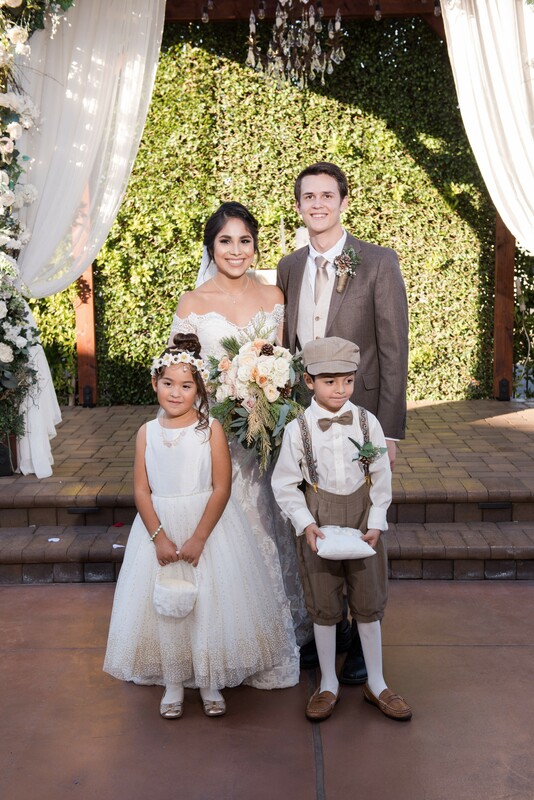 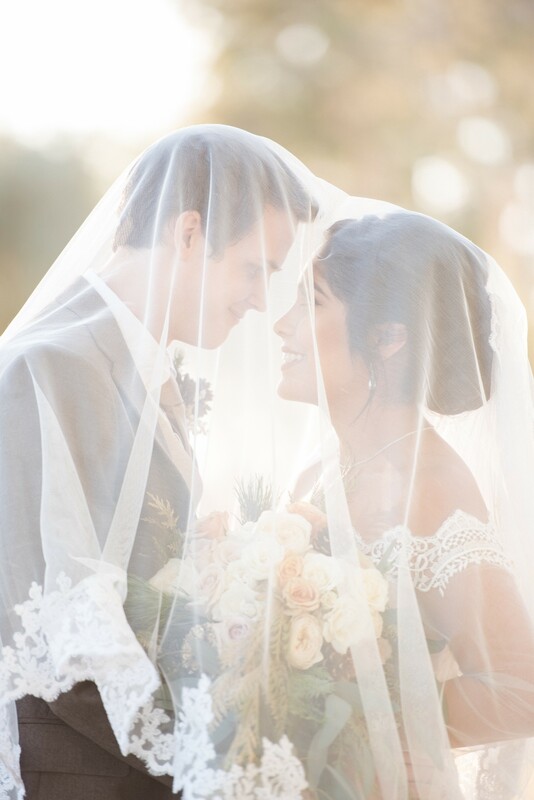 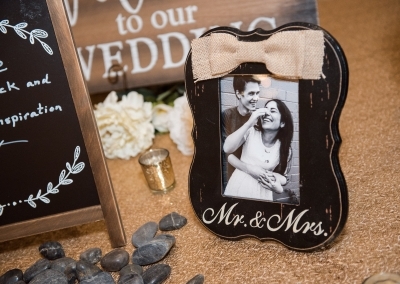 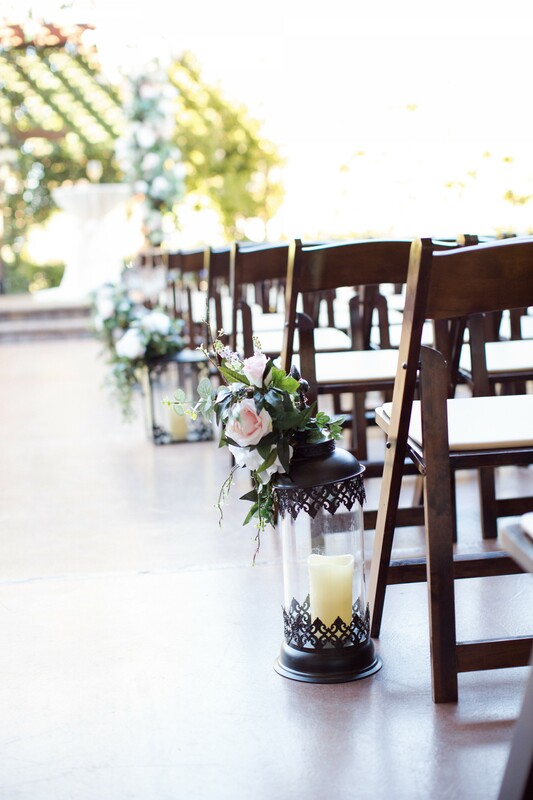 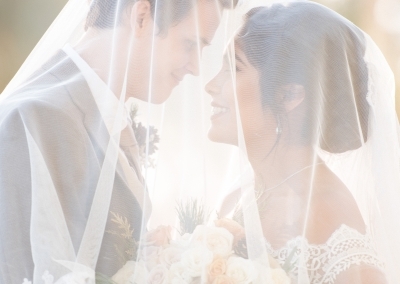 We celebrated the wedding of Alejandra and Nathan in November 2018 with a courtyard ceremony and indoor reception. 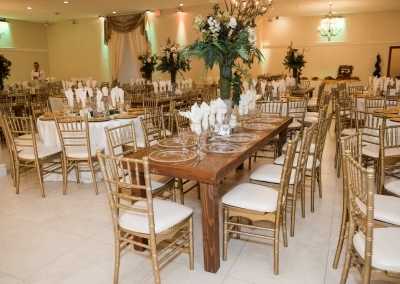 They brought in an outside vendor to bring additional decor and farm tables. 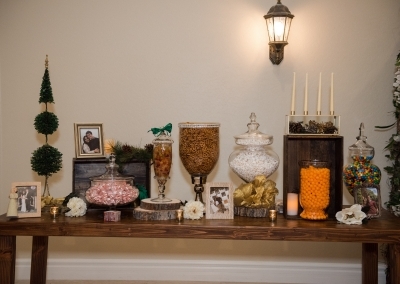 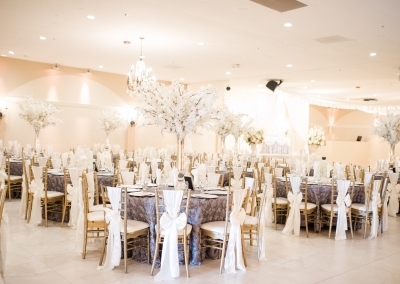 The ballroom looked fantastic in the rustic winter theme they were going for. 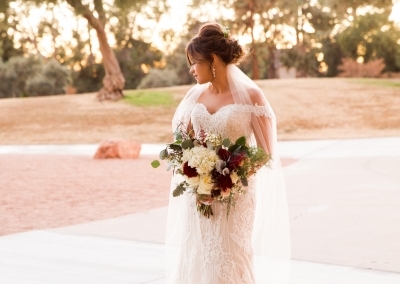 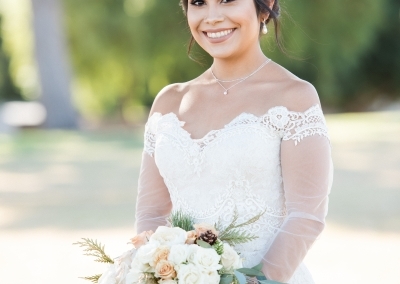 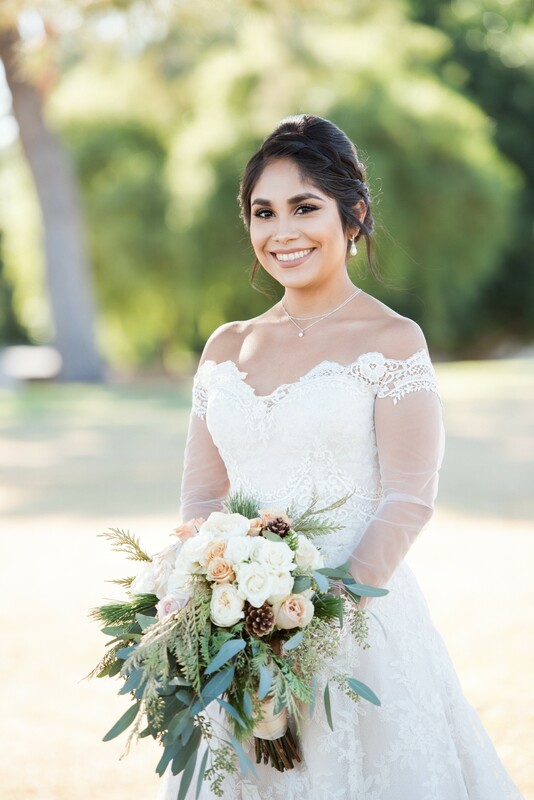 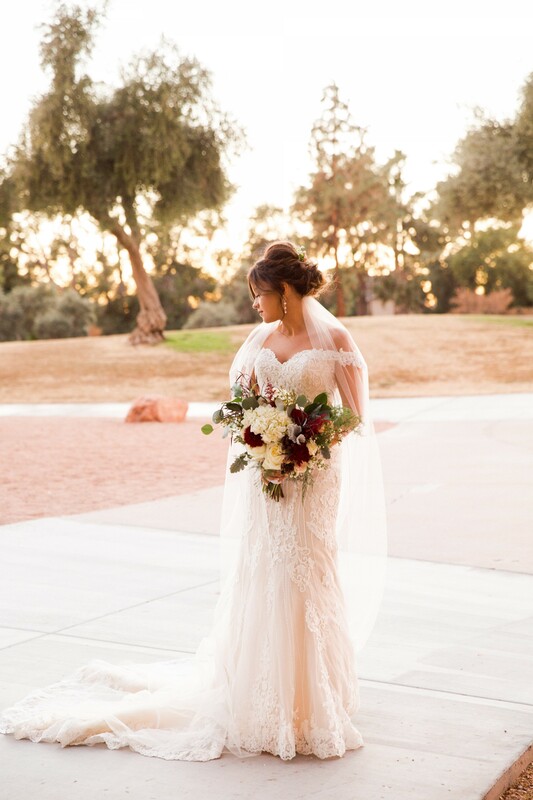 We are in love with Alejandra’s winter bridal bouquet featuring white and pale pink roses with pine cones and eucalyptus. 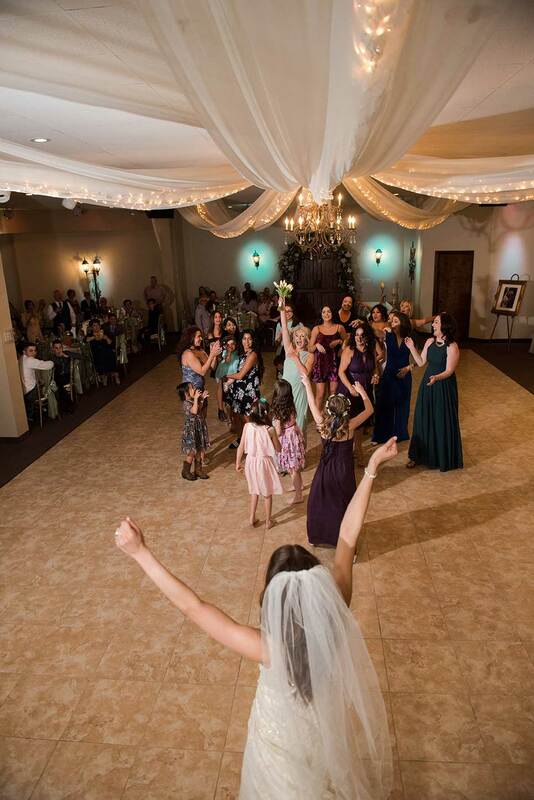 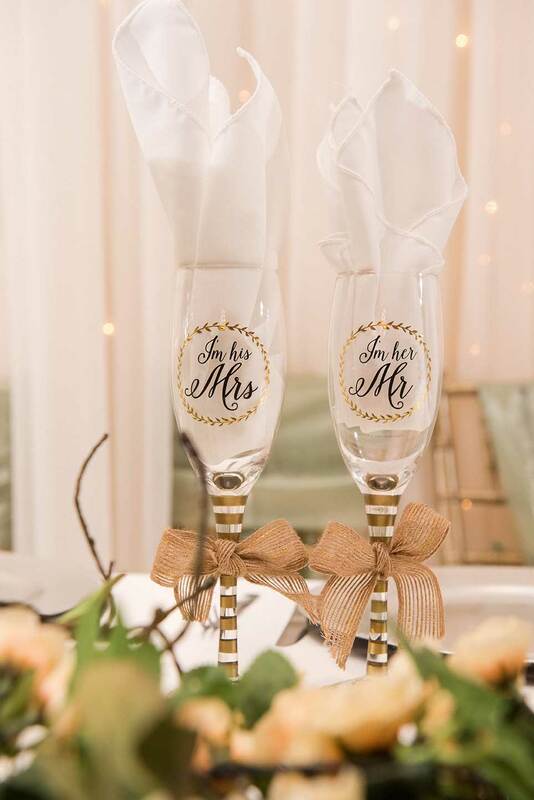 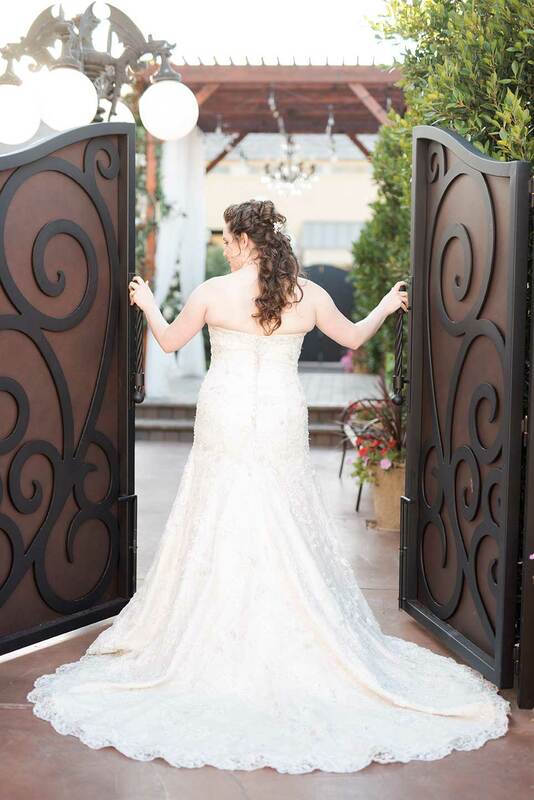 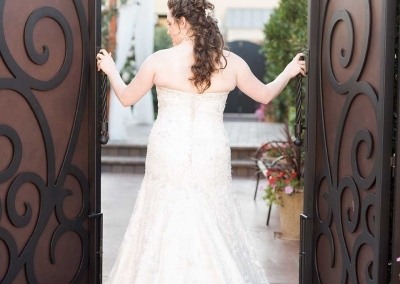 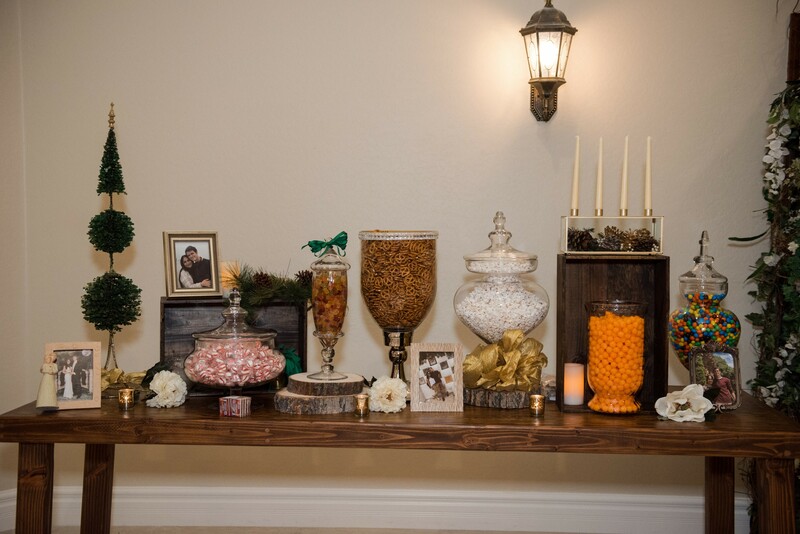 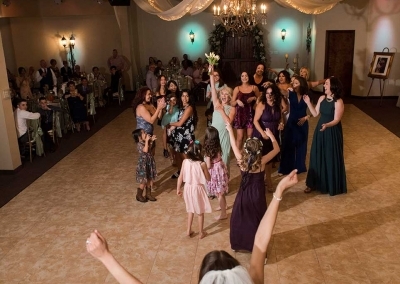 It is always so fun to see brides put their own twist on our ballrooms for their wedding to make it unique to them. 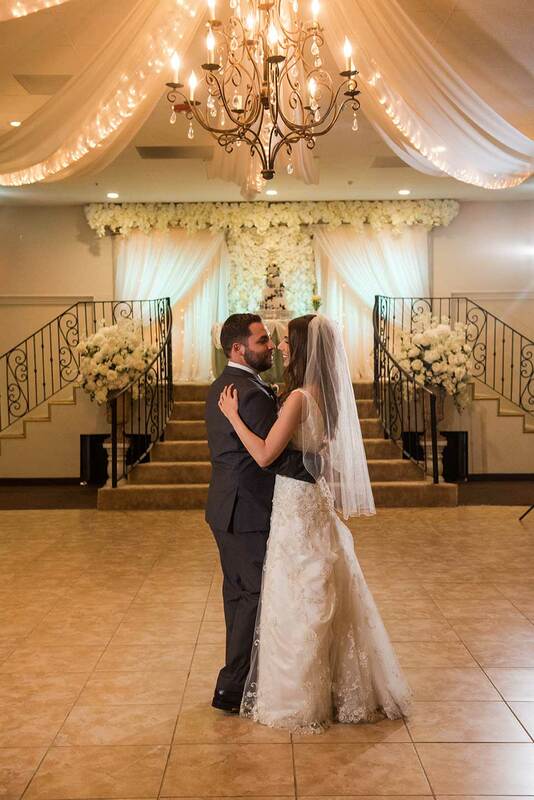 We were so excited to celebrate the wedding of Jessica and John with an indoor ceremony and reception in our Venetian Hall. 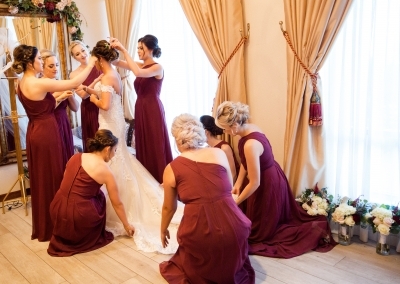 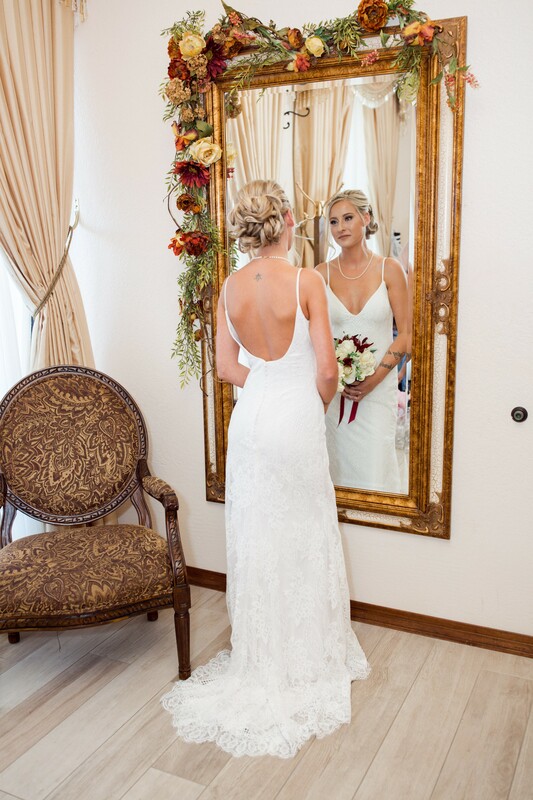 Jessica and her bridesmaids got ready in our bridal suite here at Villa Tuscana. 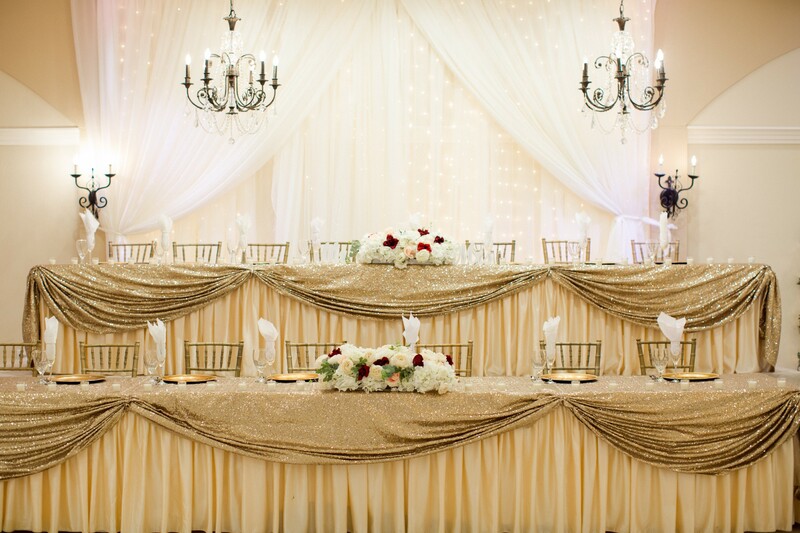 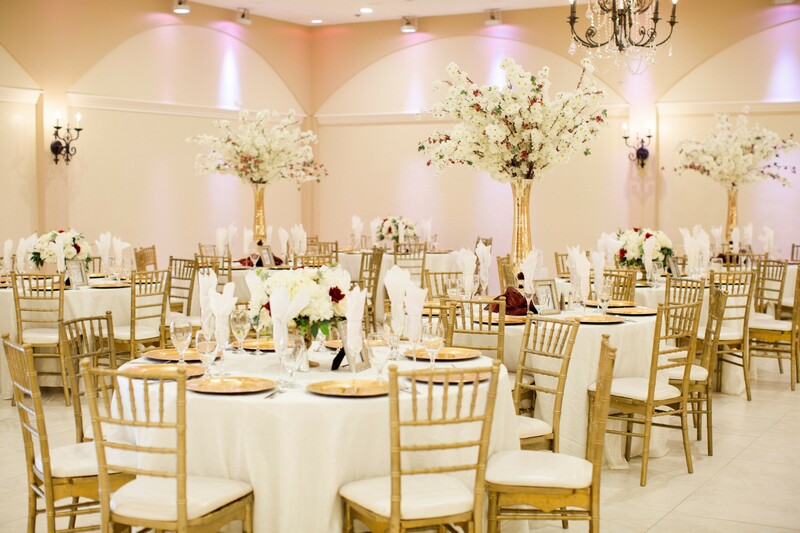 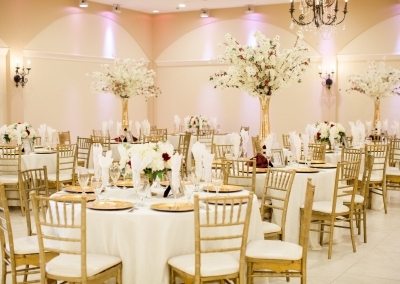 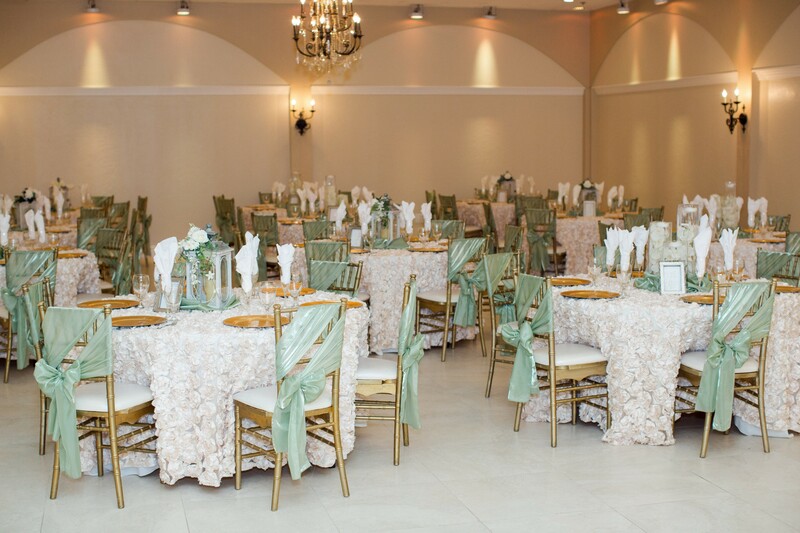 We decorated the ballroom in sage green, champagne and rose gold colors (it turned out beautifully)! 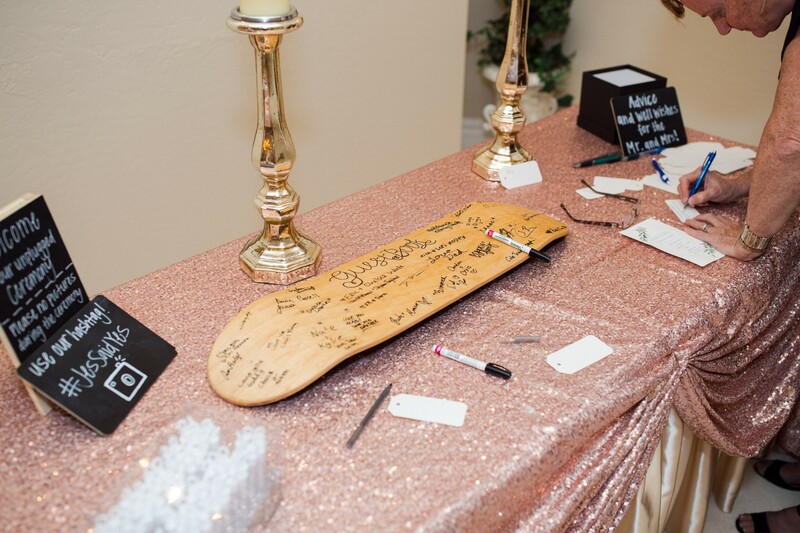 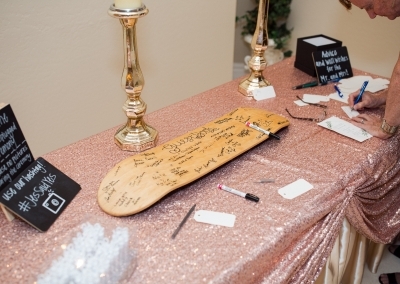 Their sign-in book was on the bottom of a skateboard, which was pretty unique and fun. Our in-house DJ kept everyone dancing all night long. 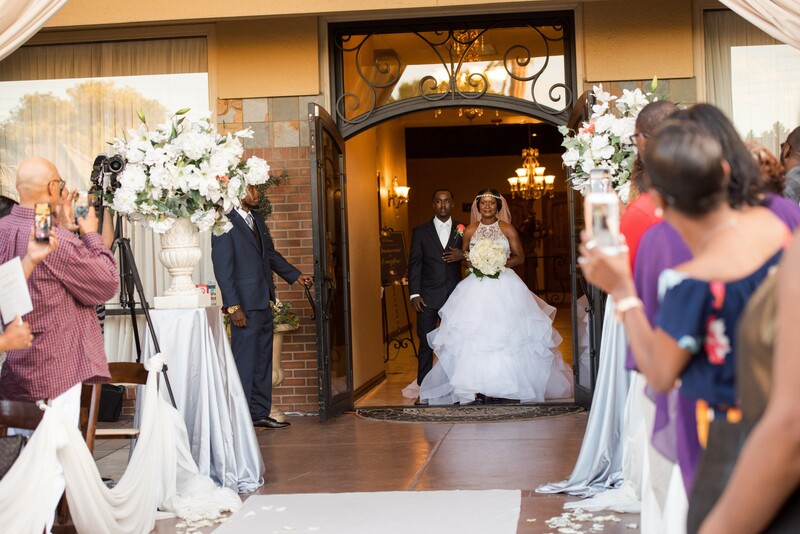 Celebrated the wedding of LaToya & Alvin with a classic courtyard ceremony and indoor reception in our Venetian Hall. 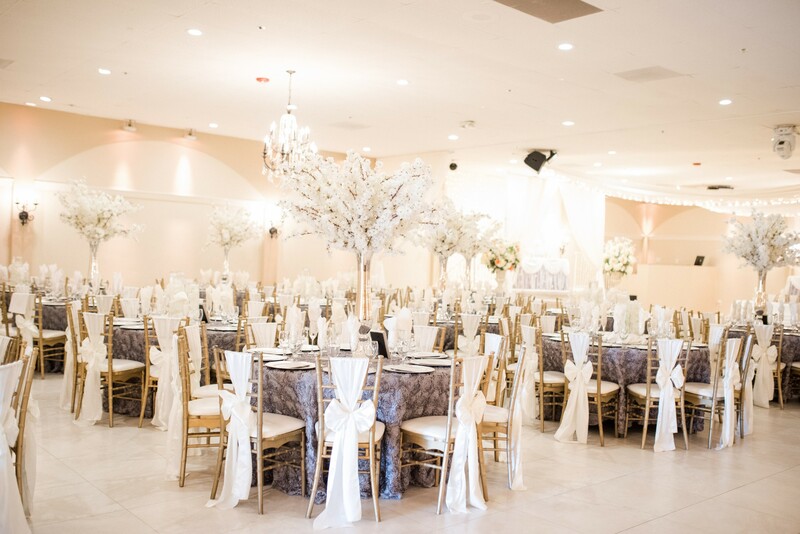 They had a monogrammed aisle runner for ceremony and we decorated the ballroom with white, silver and pops of coral flowers to accent. 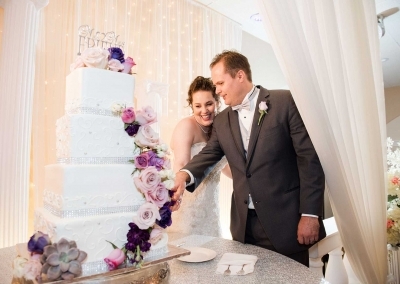 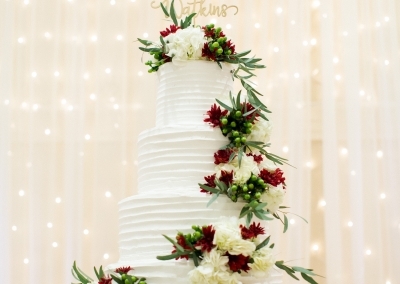 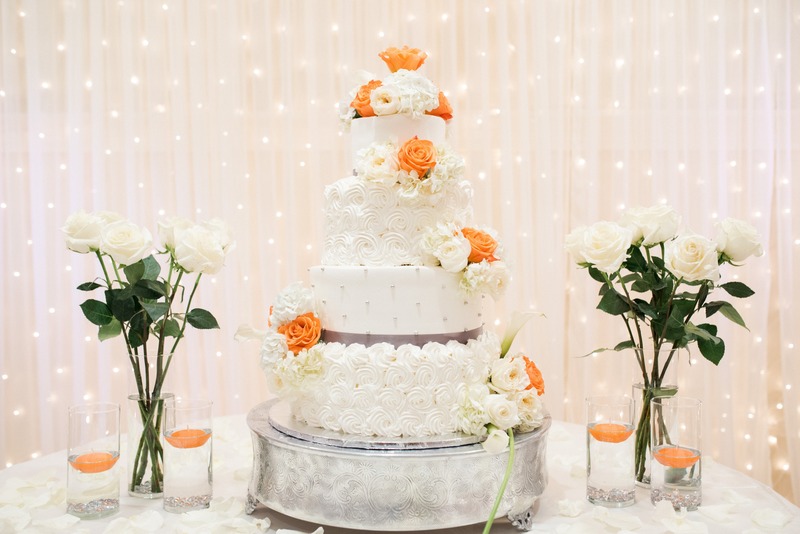 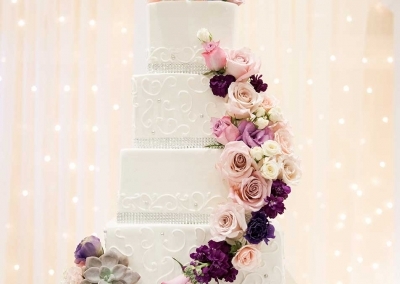 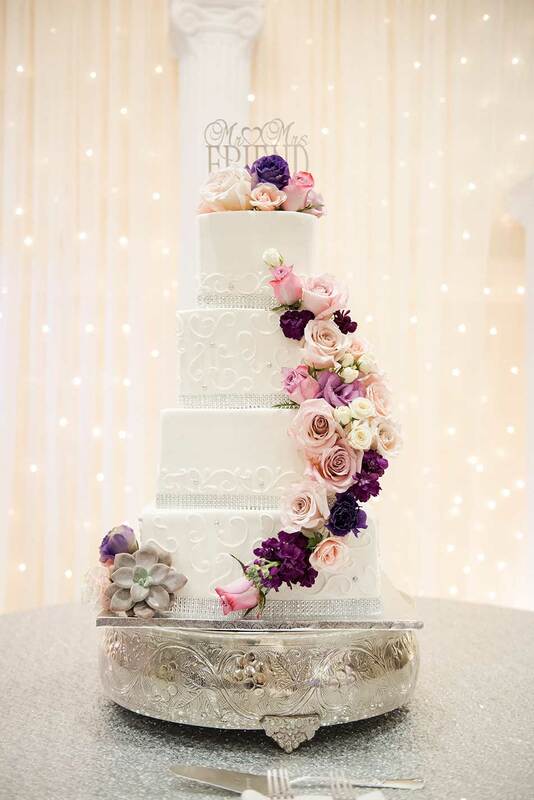 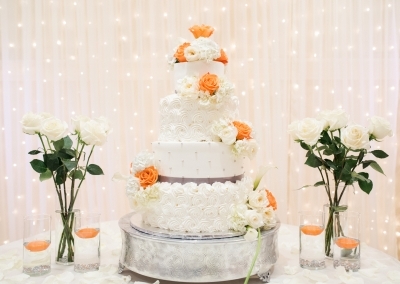 They had the all-inclusive package and got their four-tier cake through Bamboo Bakery. 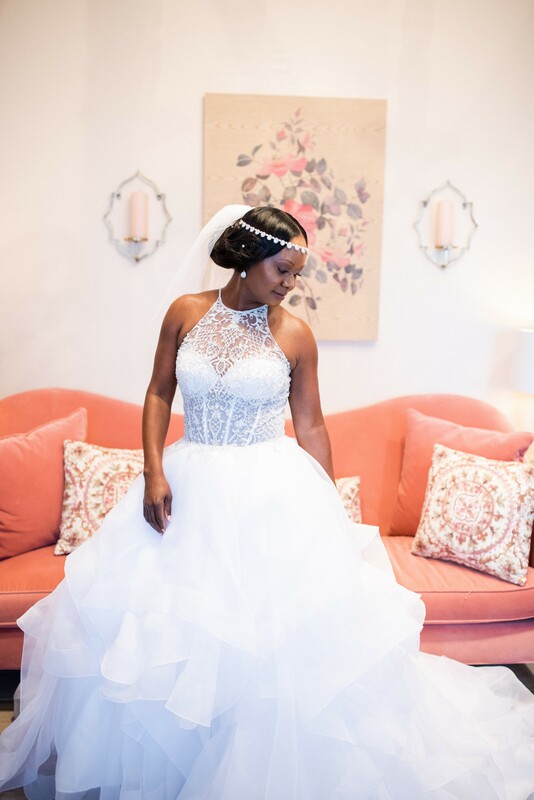 LaToya’s “something blue” was her gorgeous blue shoes. 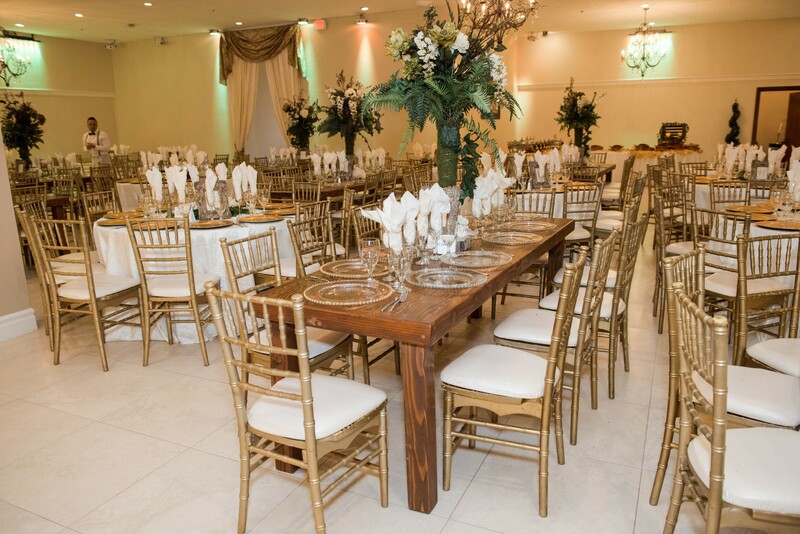 Elegant night celebrating Savannah + David. 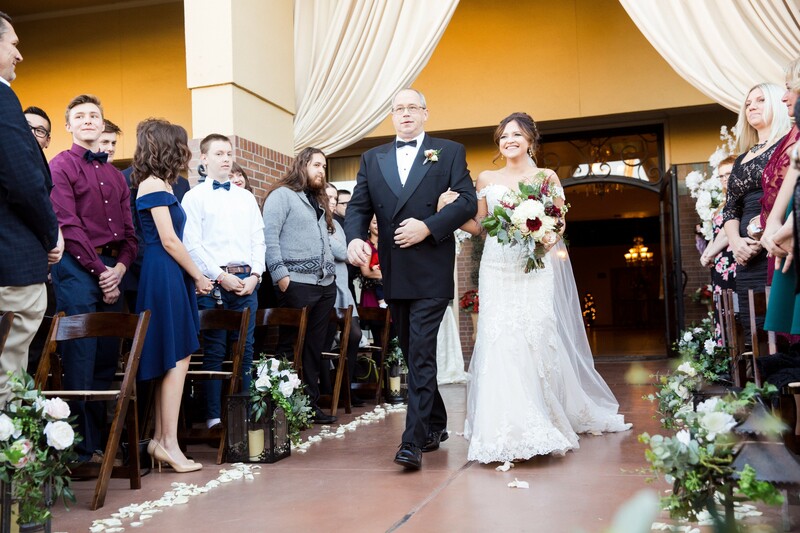 It was a beautiful day for a classic courtyard ceremony followed by an indoor reception in our Florence Hall. 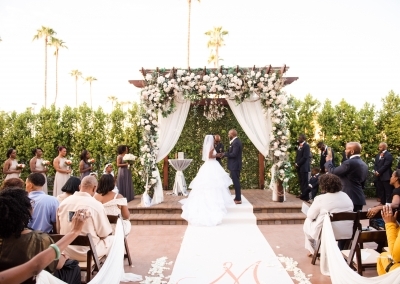 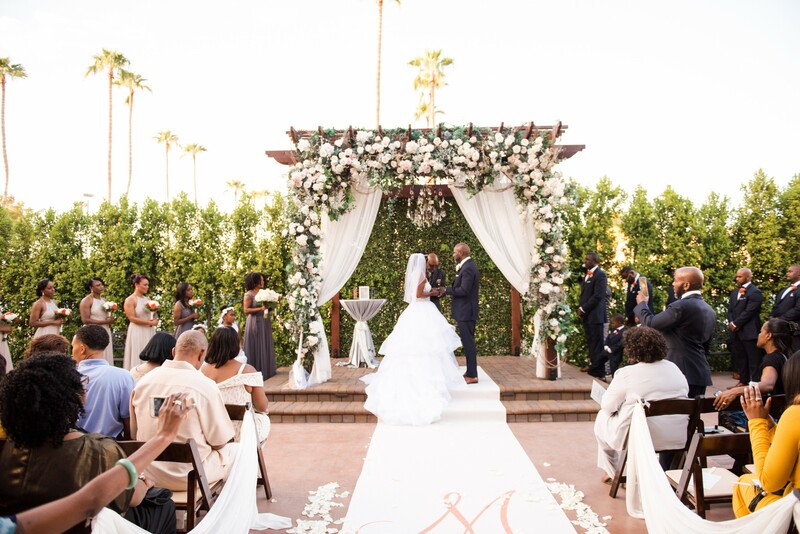 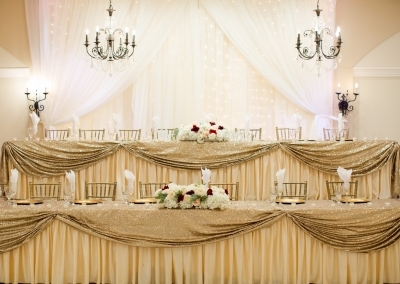 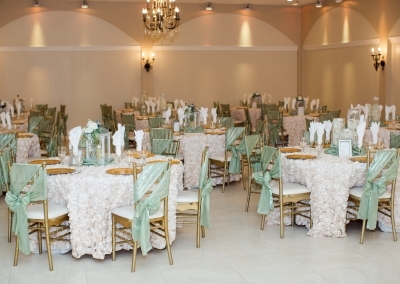 Decorated in sage green and ivory colors, the ballroom looked perfect. They danced all night long with their guests, but got to sneak away to take some photos in our courtyard at night and they turned out fantastic. 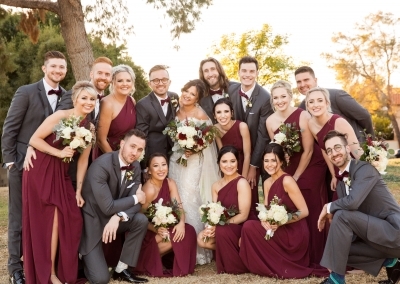 We had so much fun on Sarrah + Cameron’s wedding day. 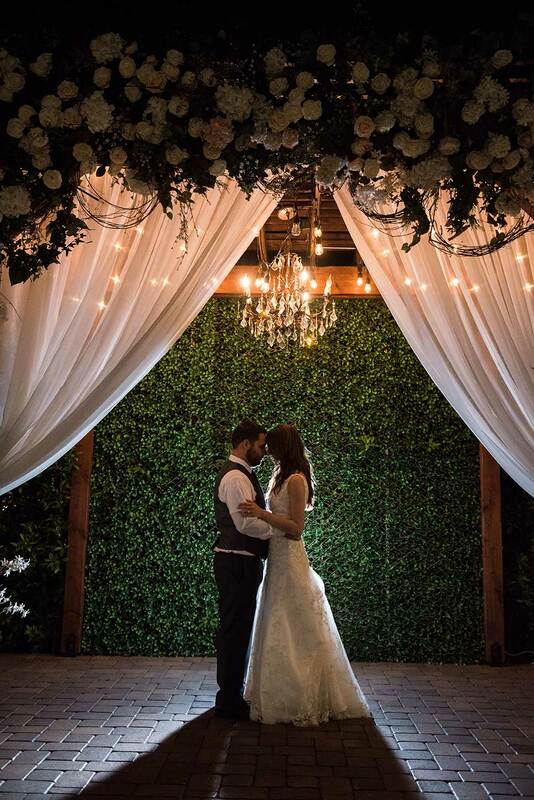 We started with an outdoor ceremony in our courtyard then all their guests went into our Venetian Hall for the indoor reception. 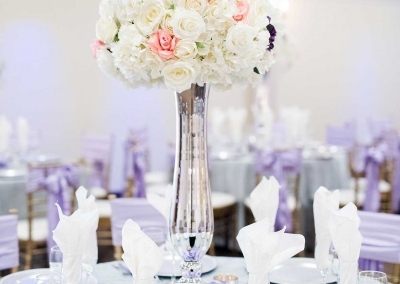 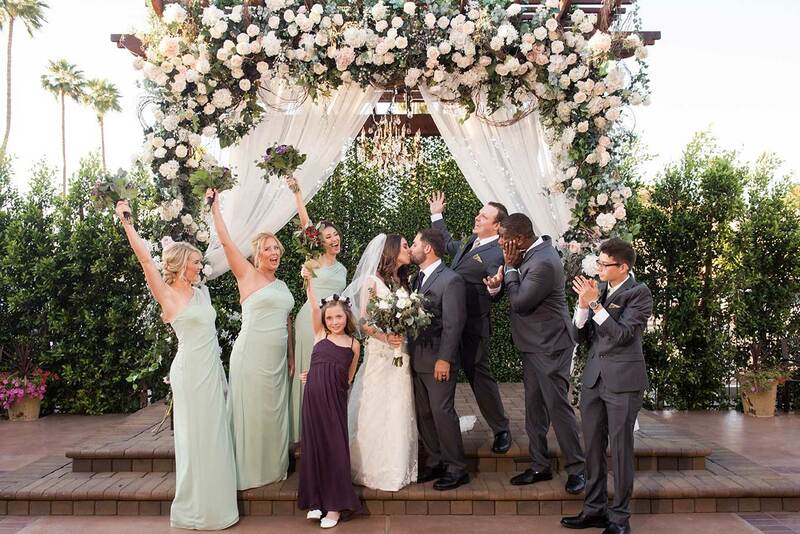 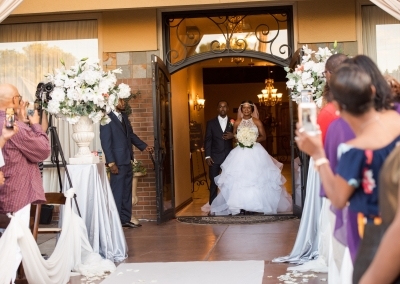 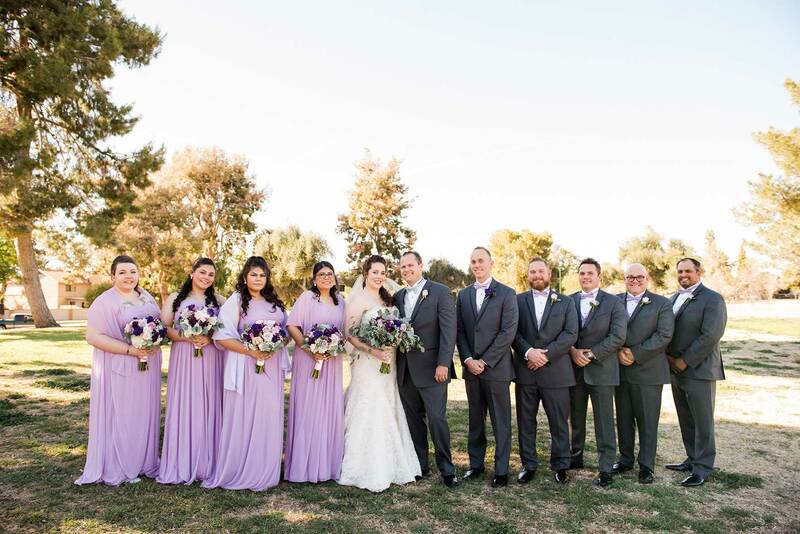 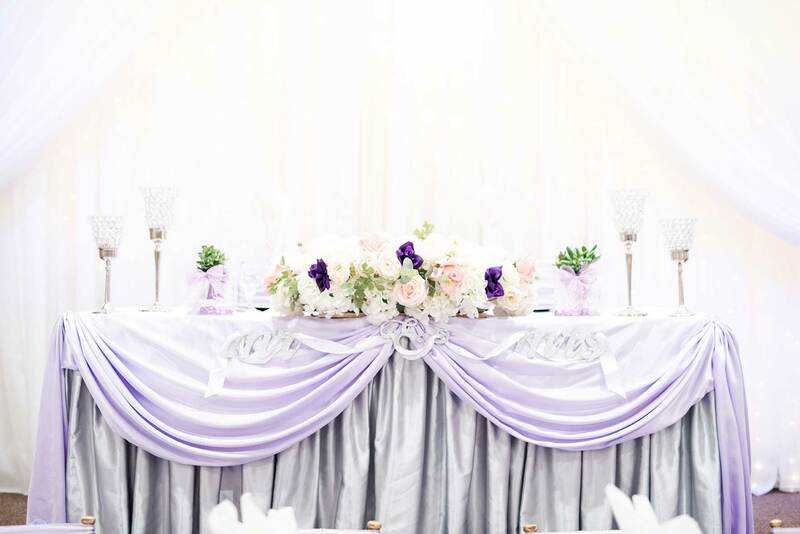 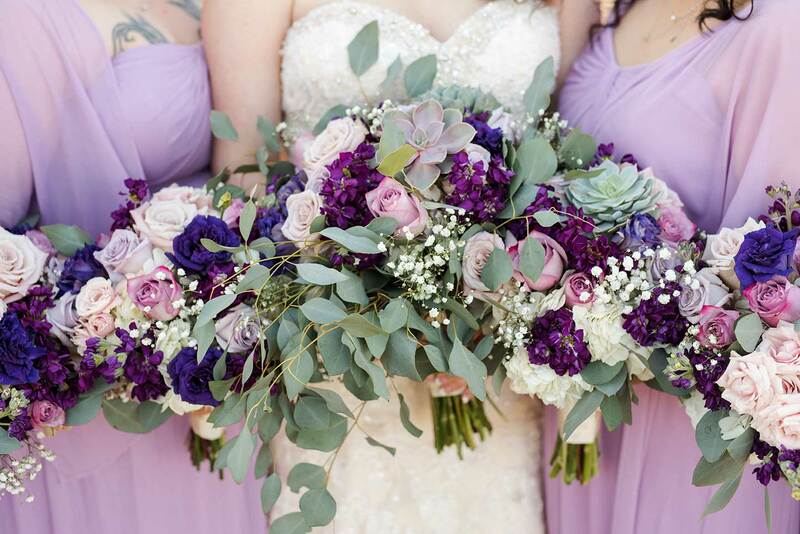 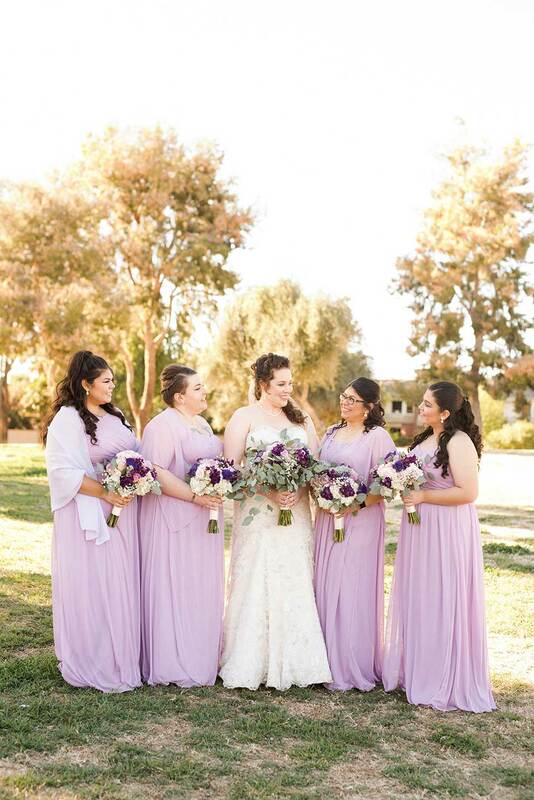 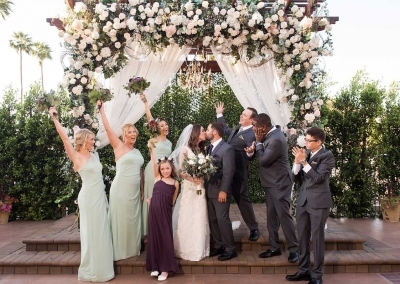 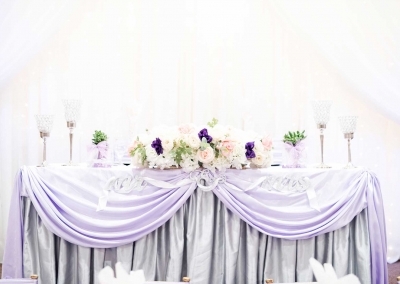 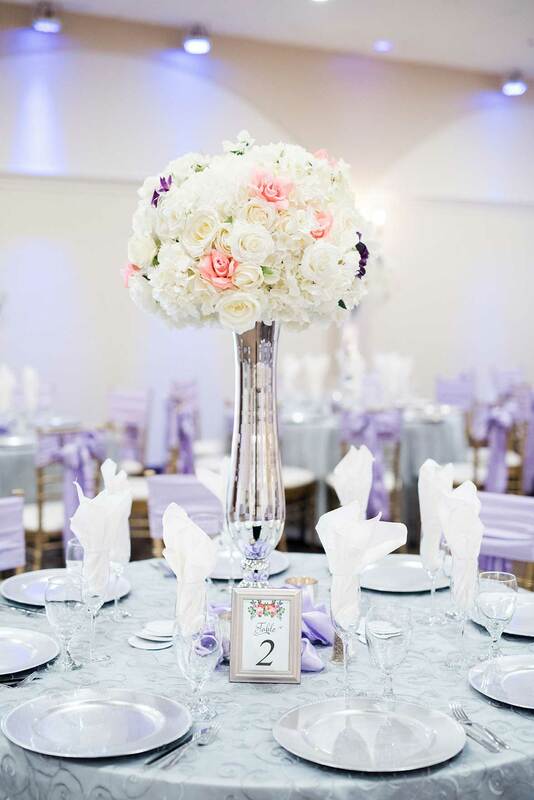 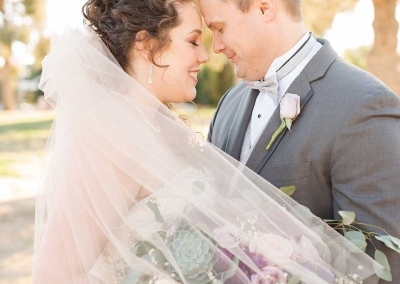 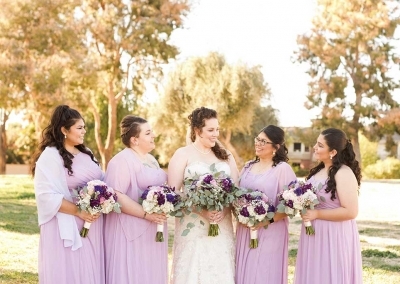 The lavender and silver décor matched perfectly with the apparel of the bridal party. 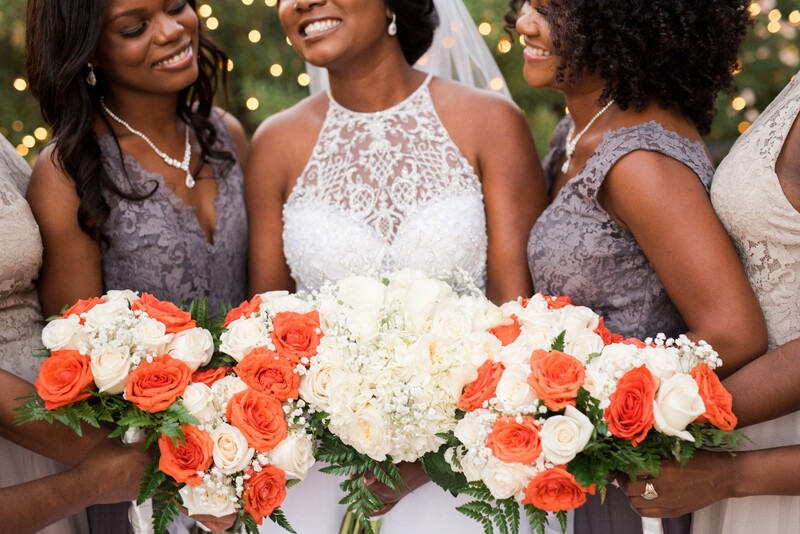 The bridal party bouquets are just gorgeous and were made by one of our preferred vendors.